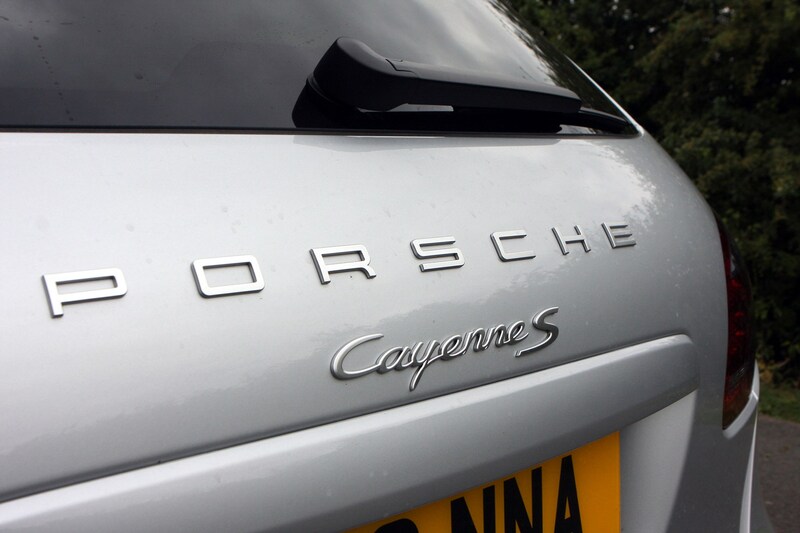 When Porsche first introduced the Cayenne in 2003, it prompted a lot of head-scratching - what the hell was a well-established sports car manufacturer doing in the 4x4 market? 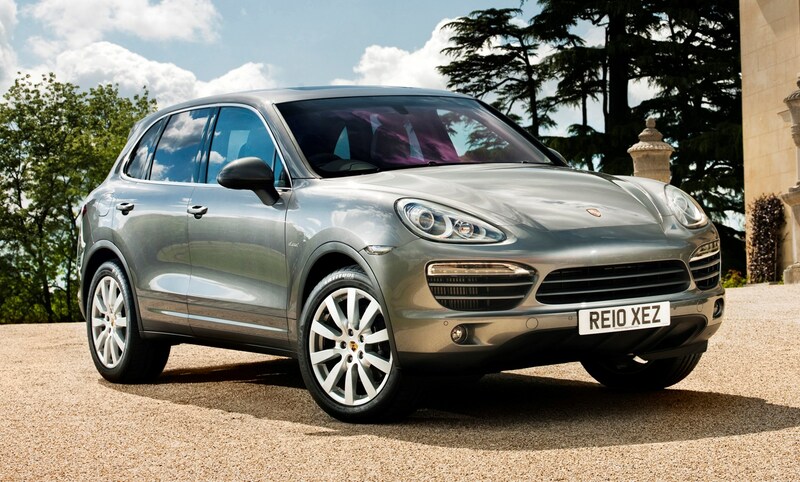 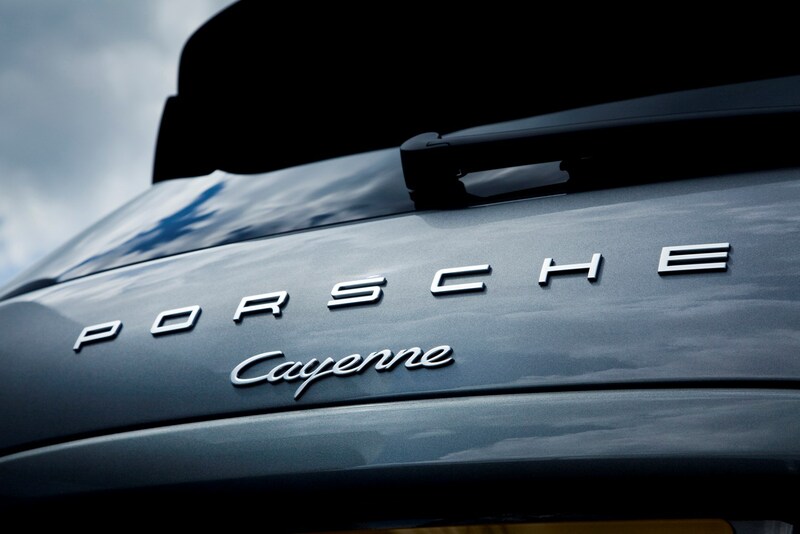 The naysayers had got it wrong, however: the Porsche Cayenne had plugged into a target audience that wanted a sporty high-riding off-roader and it became Porsche's most successful car in terms of worldwide sales. 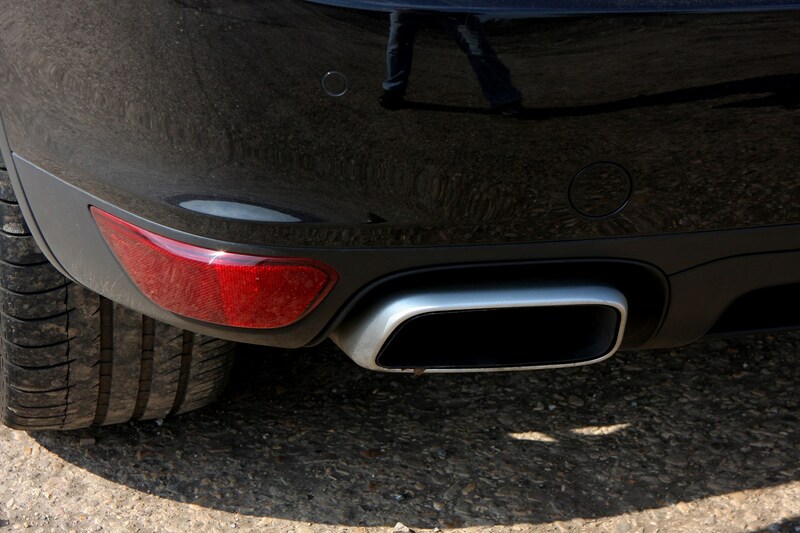 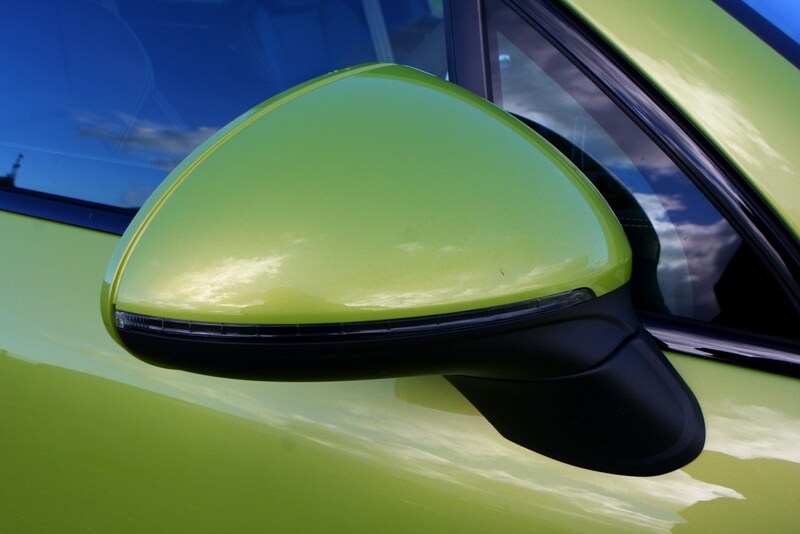 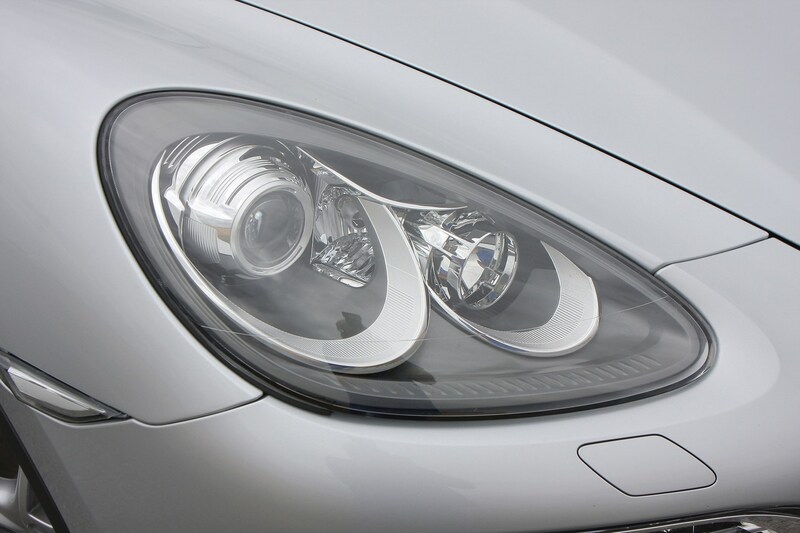 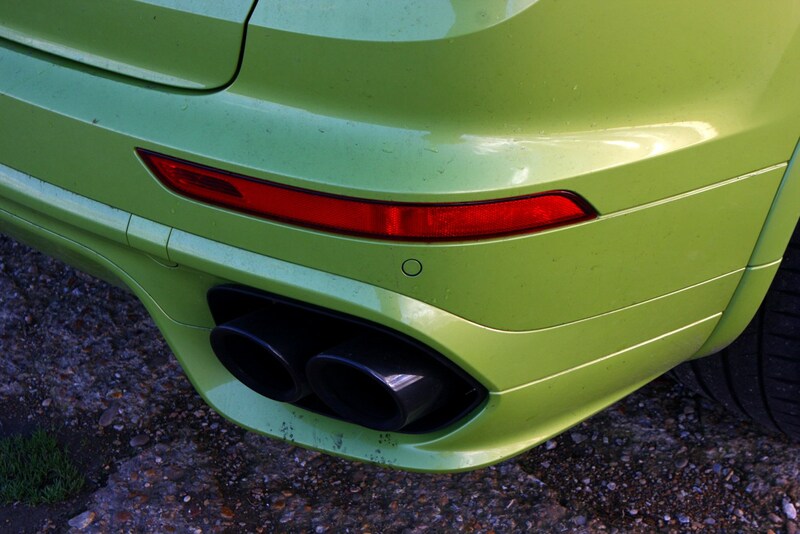 So it's no surprise that the German manufacturer chose not to mess with the formula when designing the follow-up. 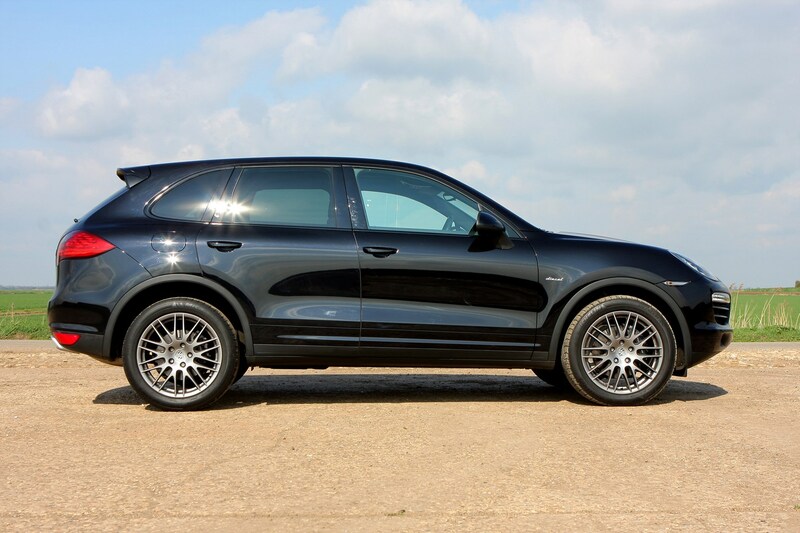 Yes this second-generation Cayenne has an all-new chassis and body but let's face it, it doesn't look much different from the original. 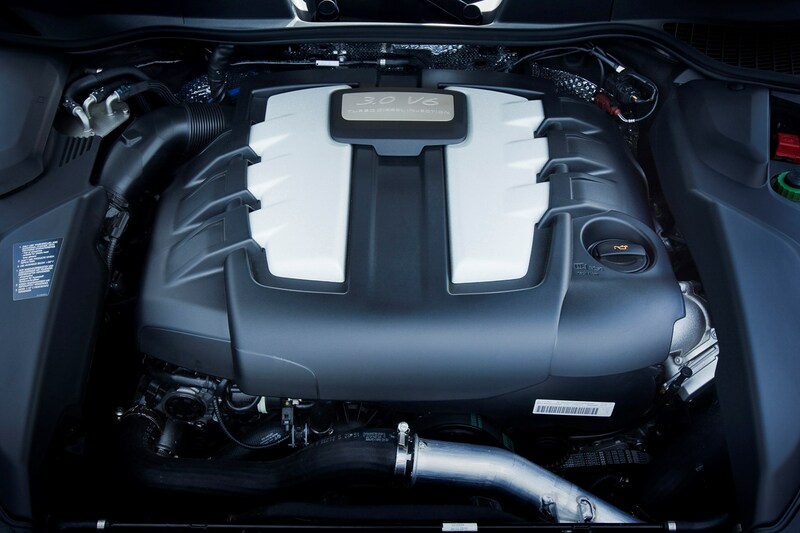 It's 180kgs lighter than the previous model, emits 26% less CO2 and burns up to 23% less fuel while producing more power and stronger performance. 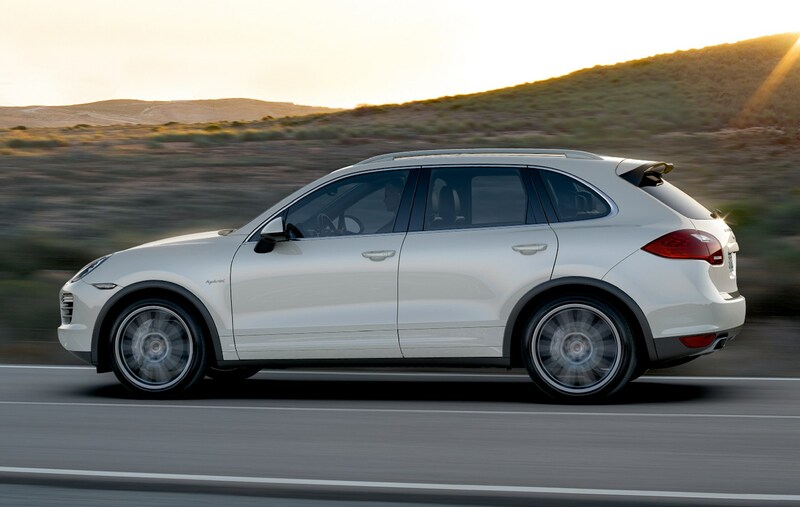 Then there's the addition of the hybrid Cayenne that promises to deliver the perfect marriage of power and efficiency, a recipe refined in 2014 when it became the E-Hybrid with plug-in capability. 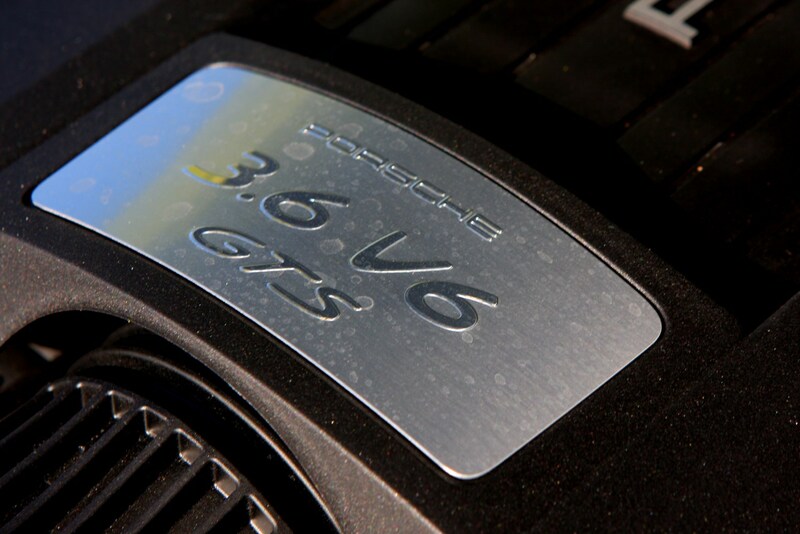 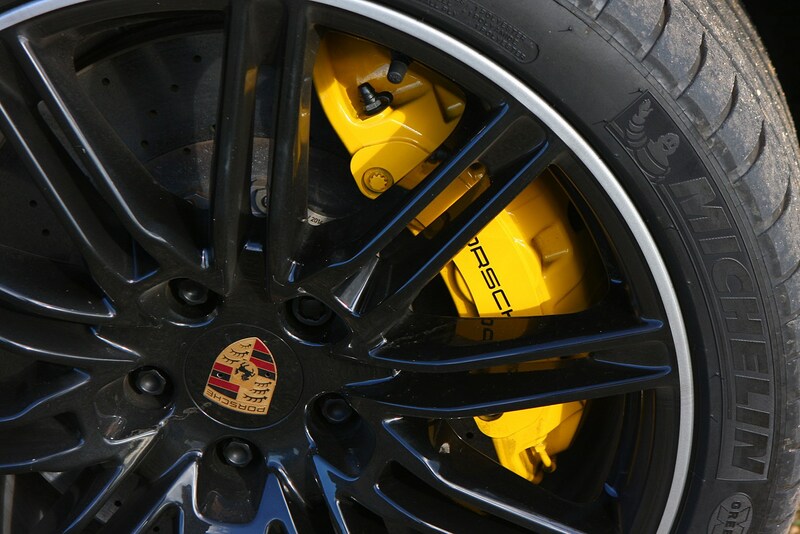 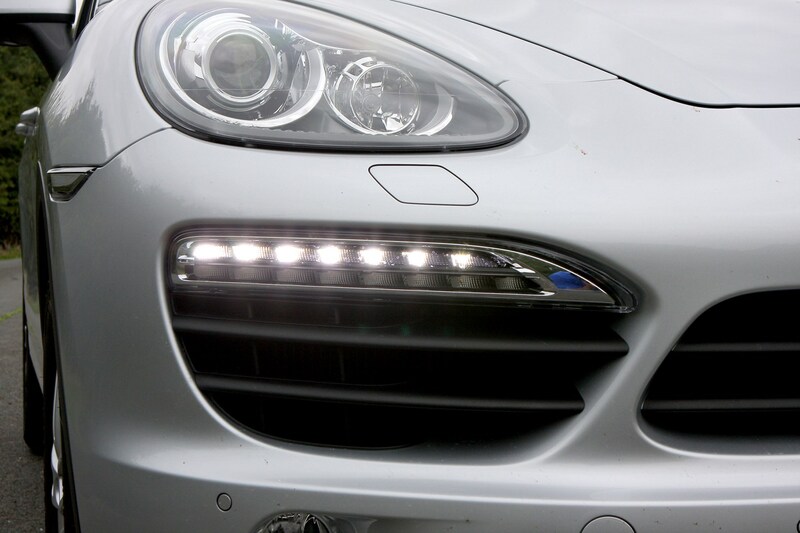 There is, however, a 4% price increase but Porsche says the extra equipment on offer equates to a 1% rise. 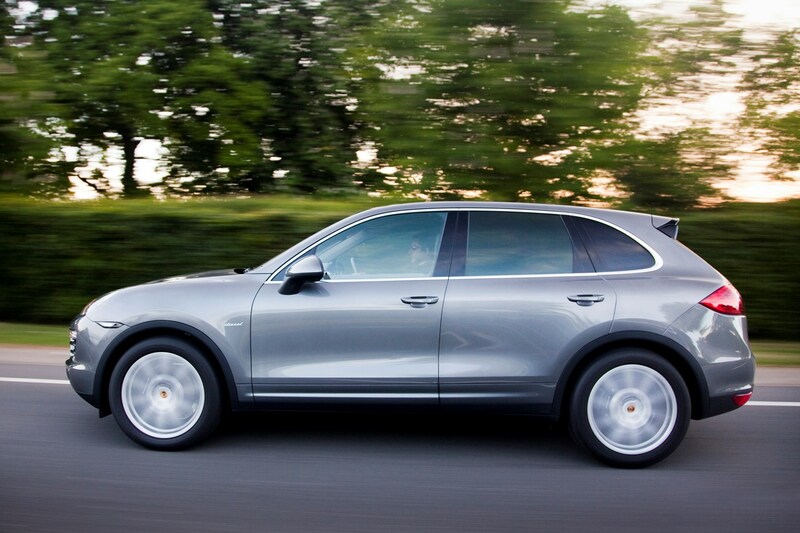 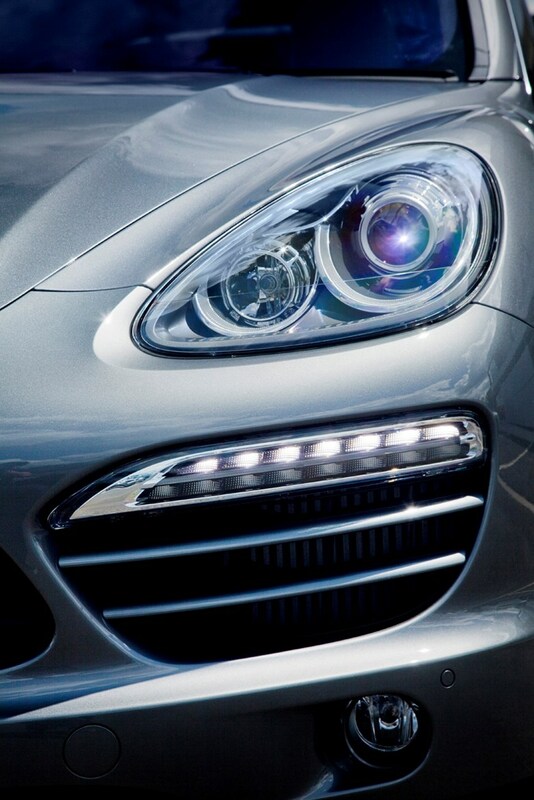 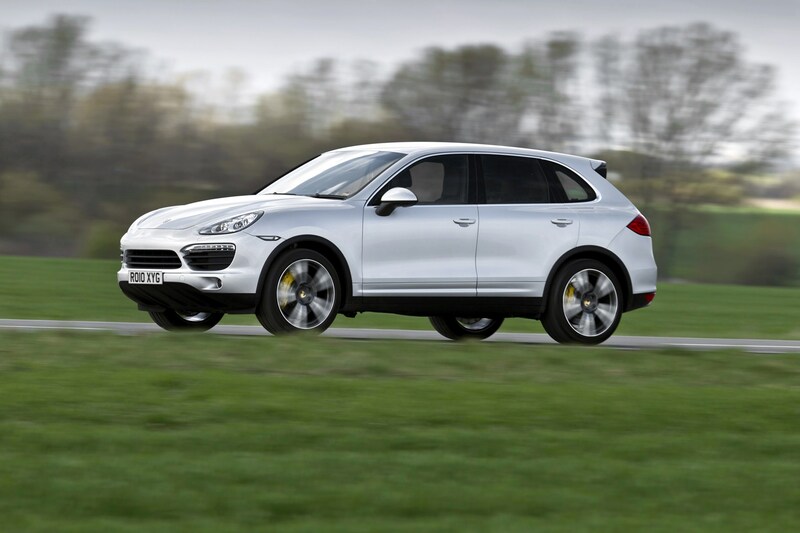 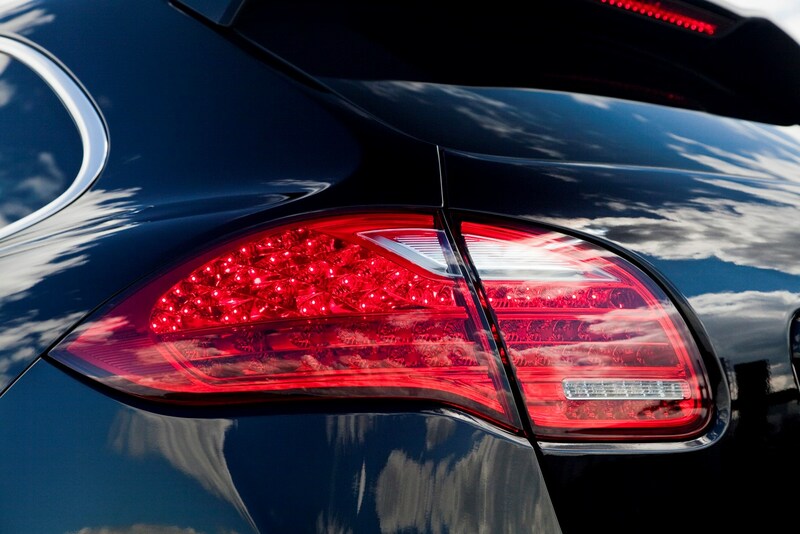 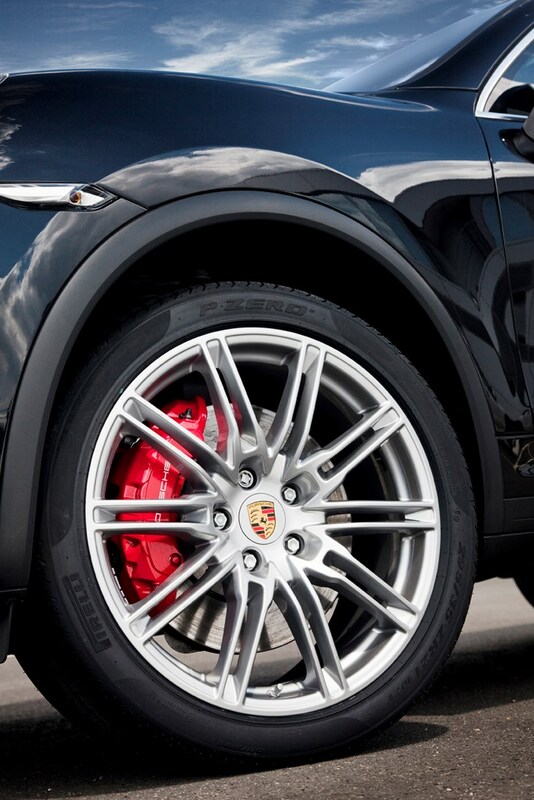 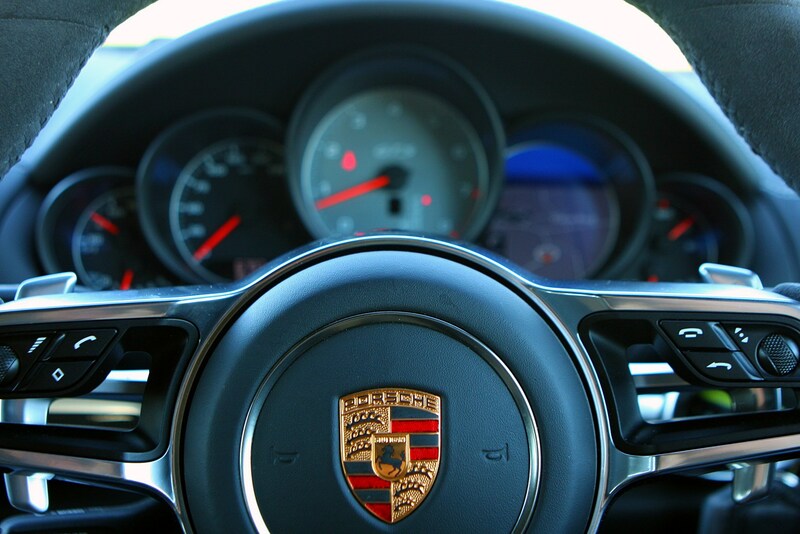 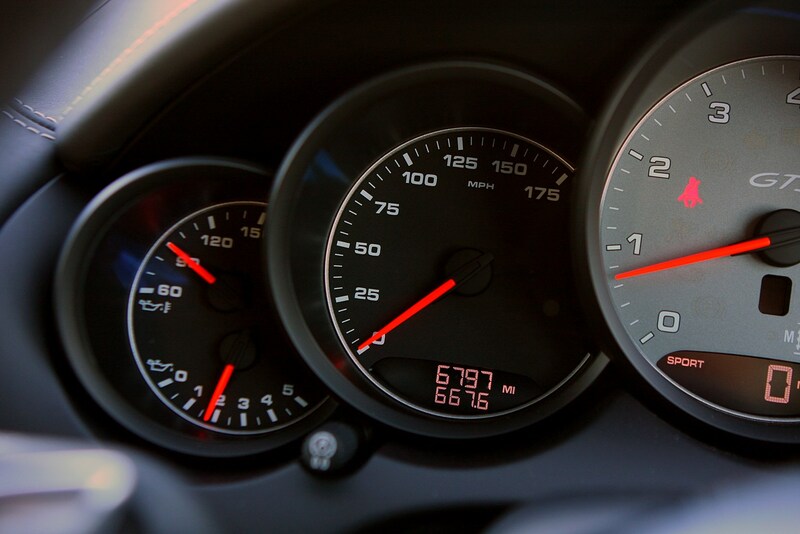 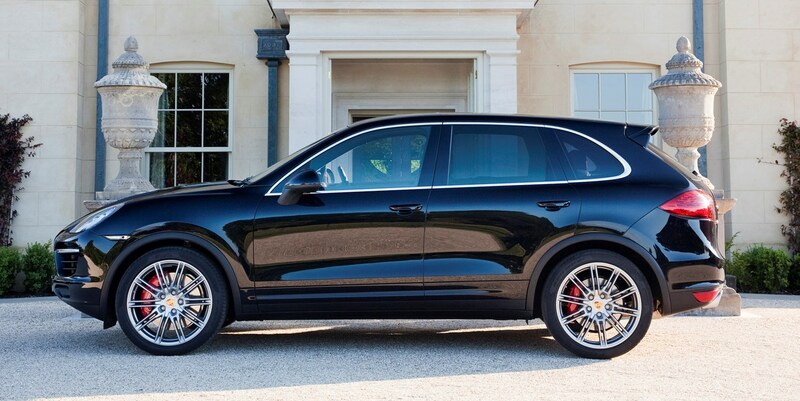 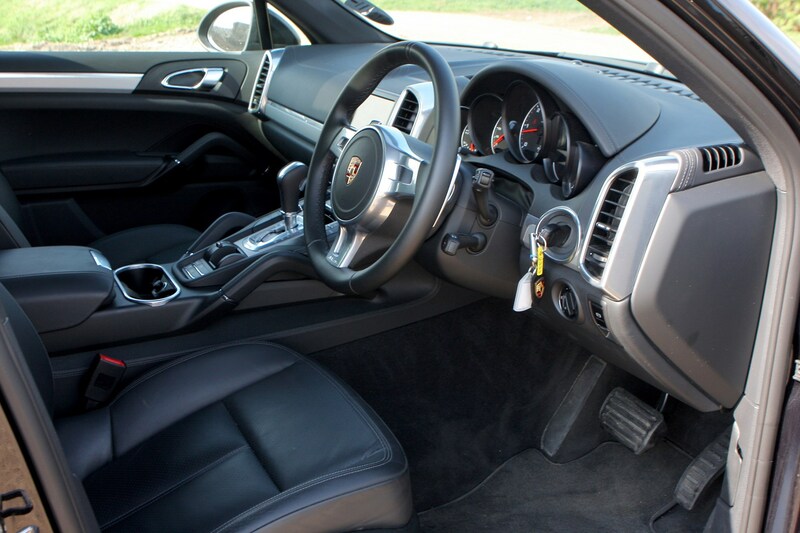 All of the engines in the Porsche Cayenne deliver strong performance, so how fast you want to go is more dictated by how much you want to spend and how often you want to fill up with fuel. 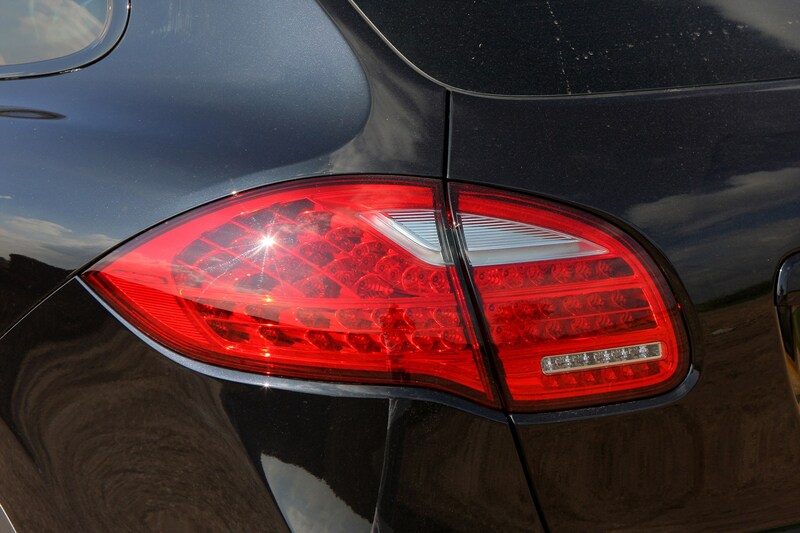 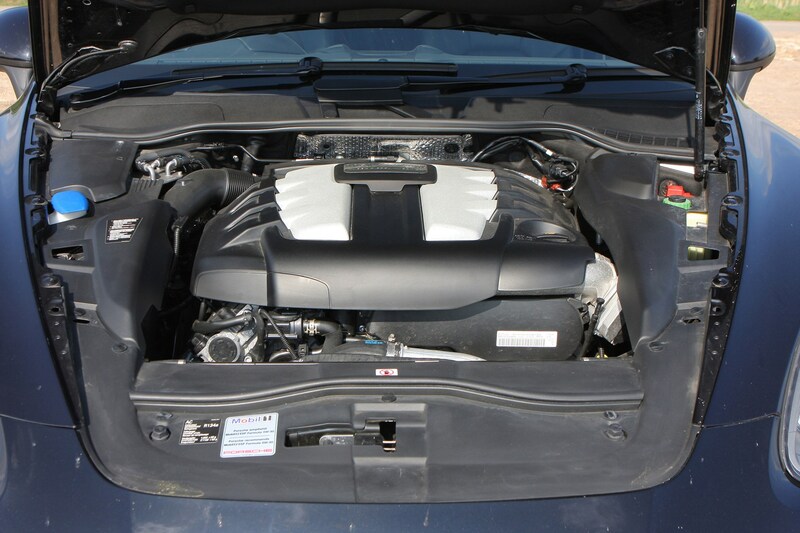 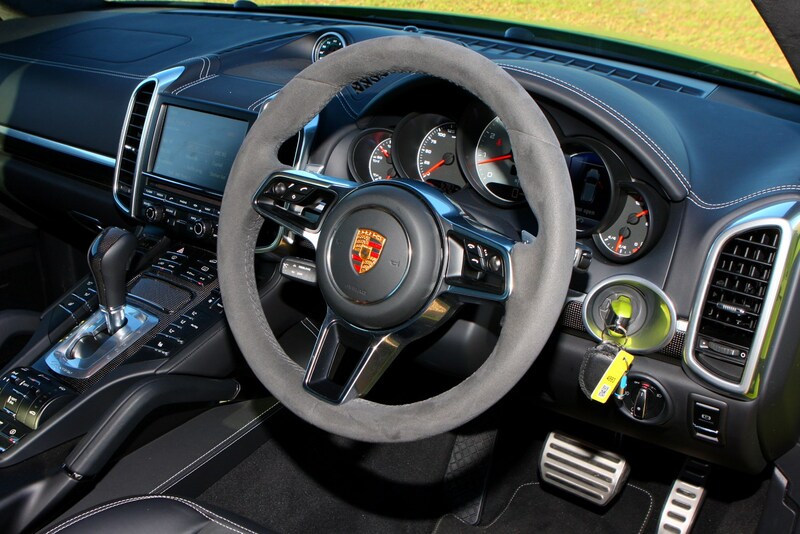 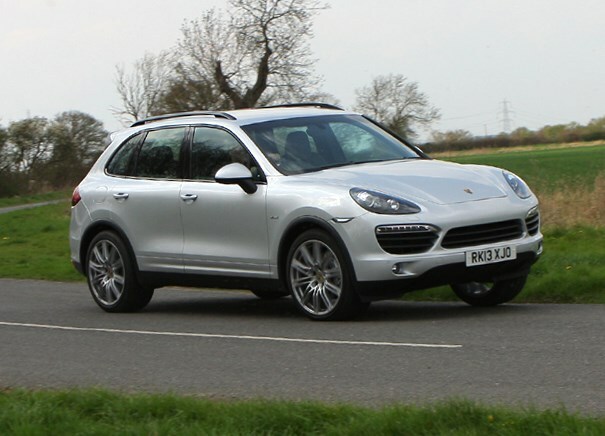 For most buyers, the 3.6-litre V6 engine will be sufficient for most needs, though you can also choose Porsche’s diesel-powered version if you want to travel further without sacrificing pace as its 245bhp V6 turbodiesel propels it from 0-62mph in 7.6 seconds compared to the petrol’s 7.5 seconds. 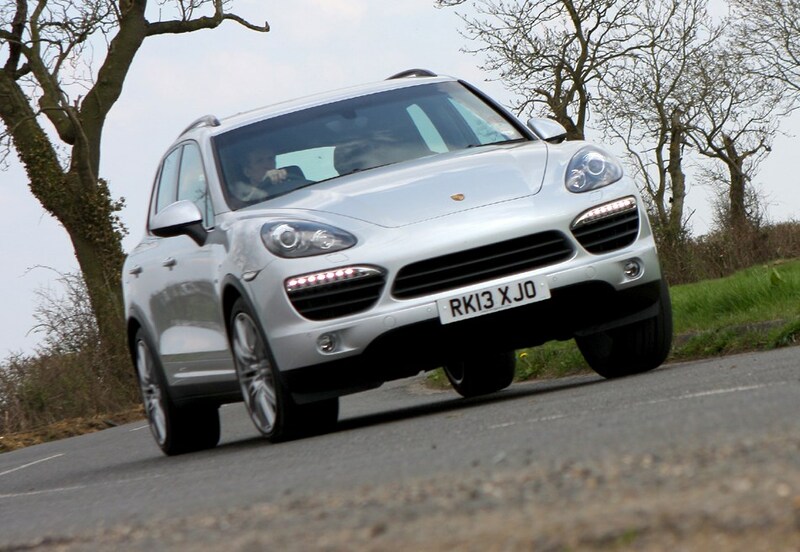 The diesel also turns in 39.2mpg average economy to easily better the petrol V6’s 25.2mpg. 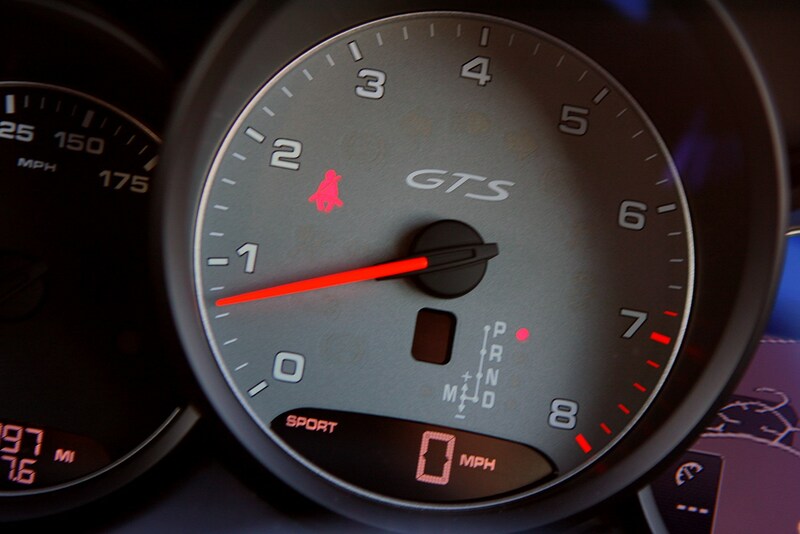 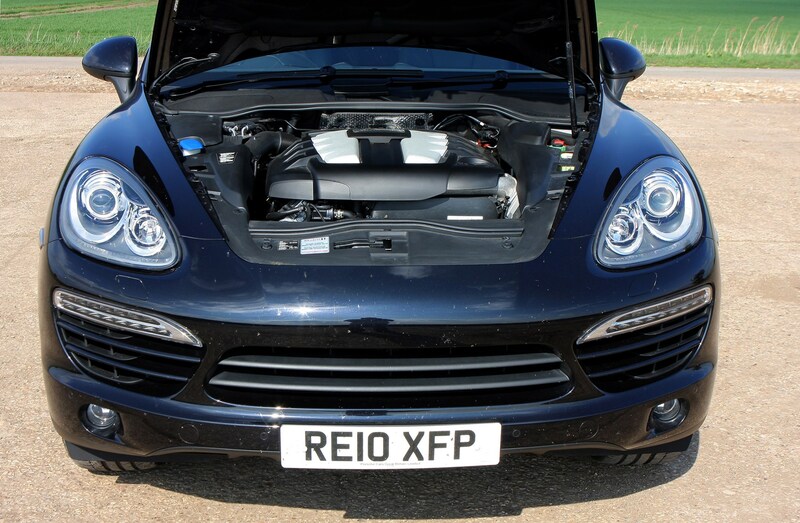 From there, the engine range in both petrol and diesel forms only gets quicker and quicker, culminating in the Turbo S with 550bhp that takes just 4.5 seconds to cover 0-62mph and has a top speed of 175mph. 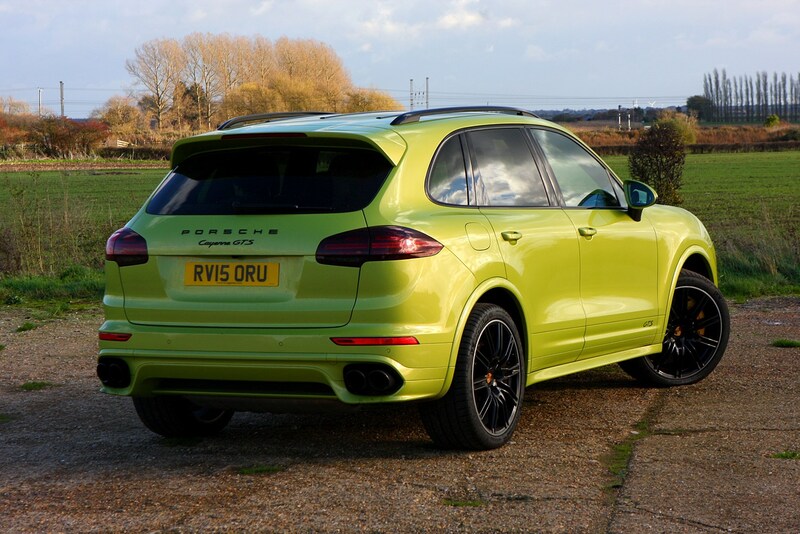 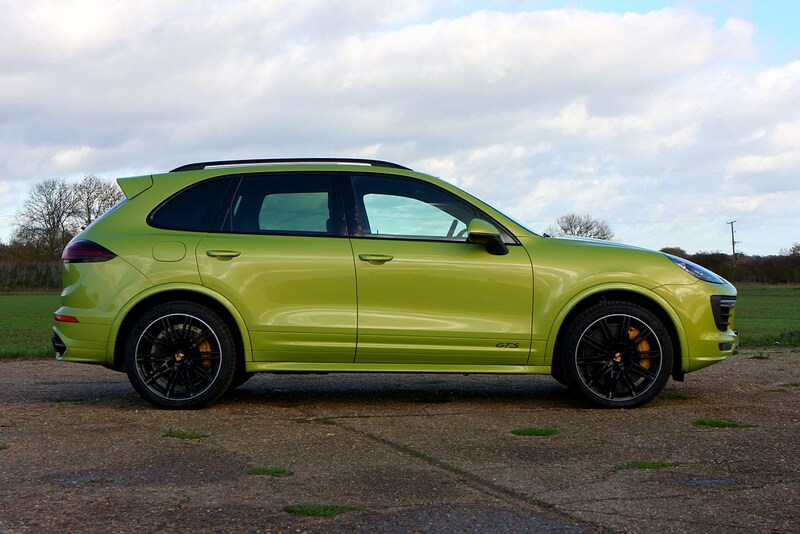 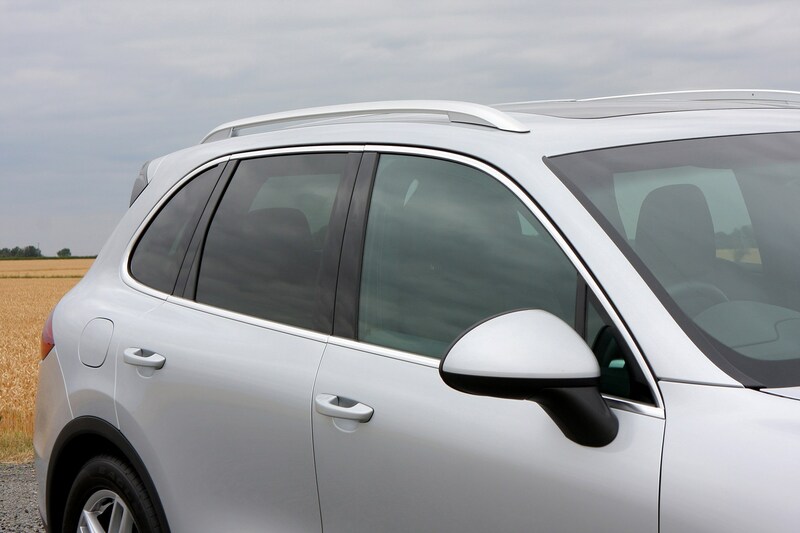 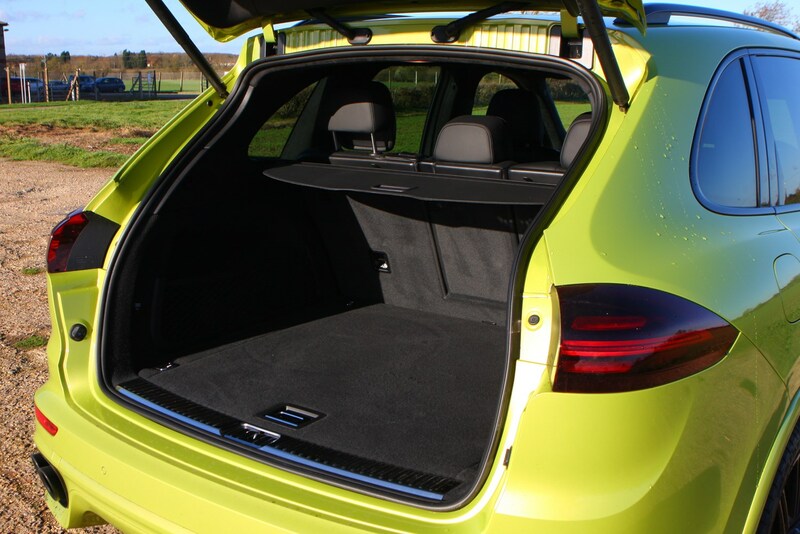 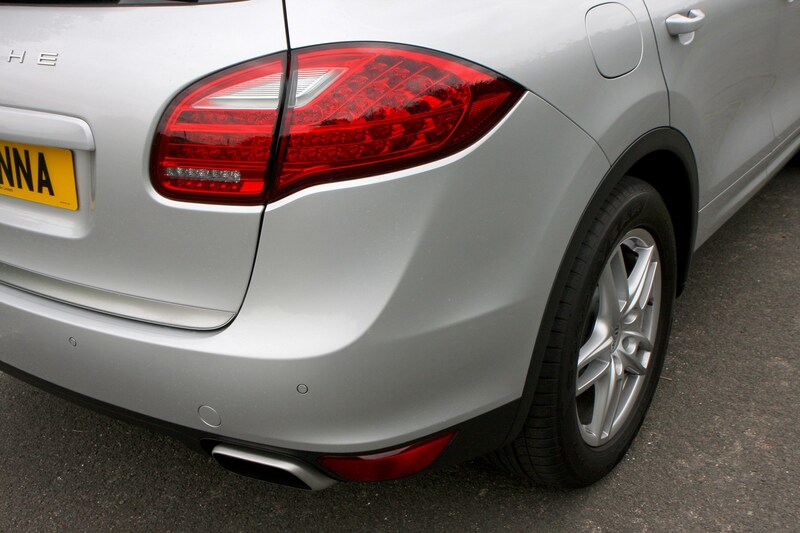 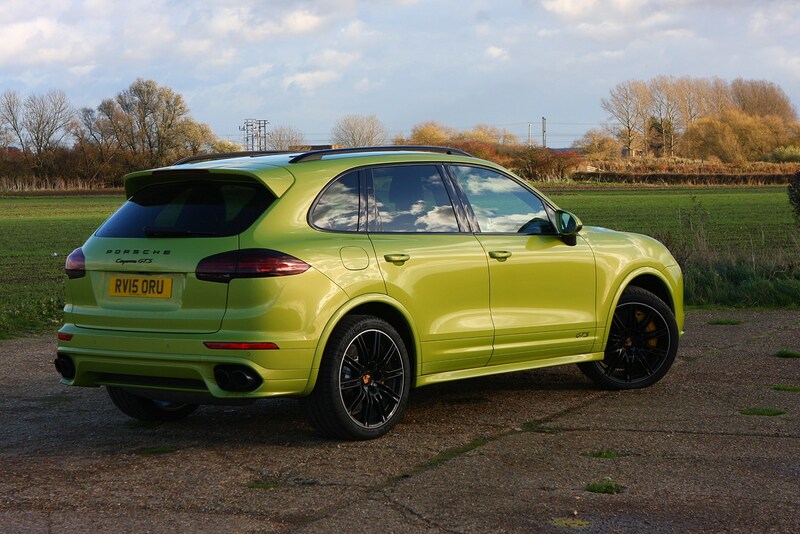 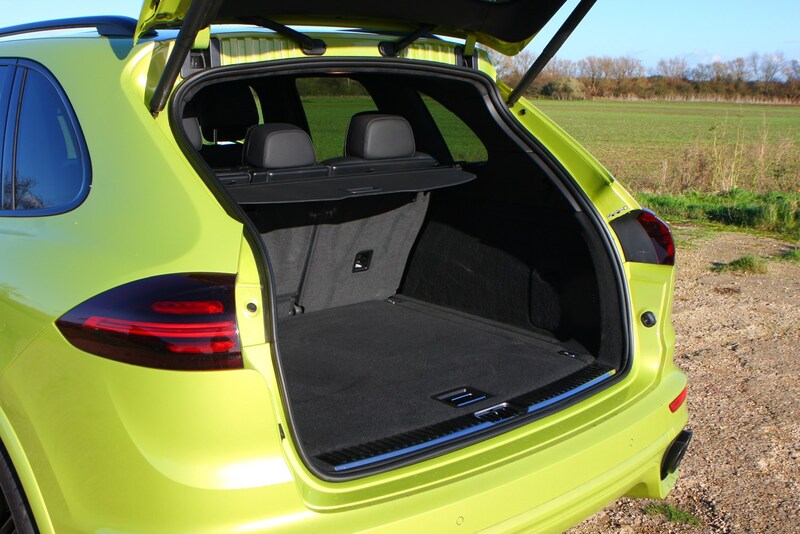 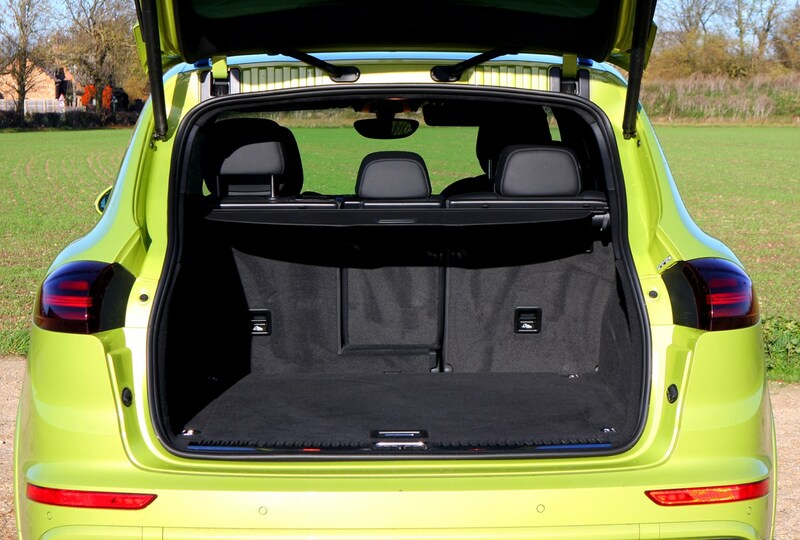 Along with some mild bodywork changes - Macan-alike strakes in the front air vents, a shallower grille and wider rear lights - late in 2014 the Cayenne got some new engines. 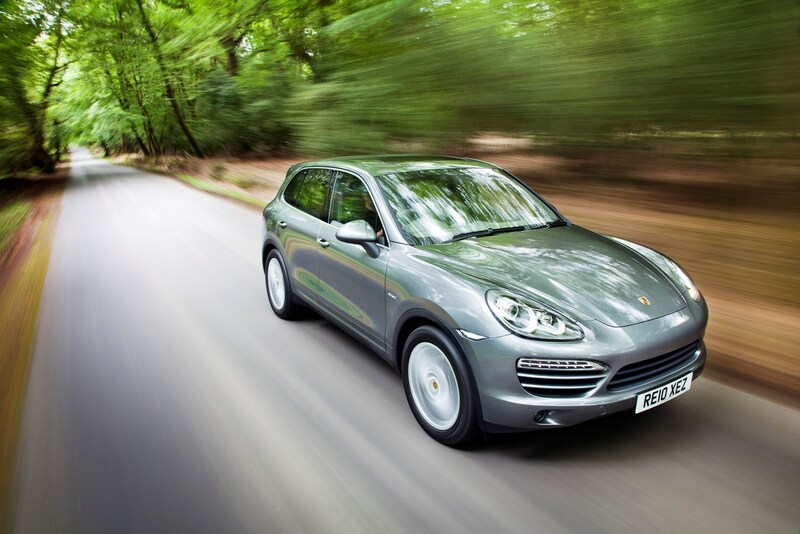 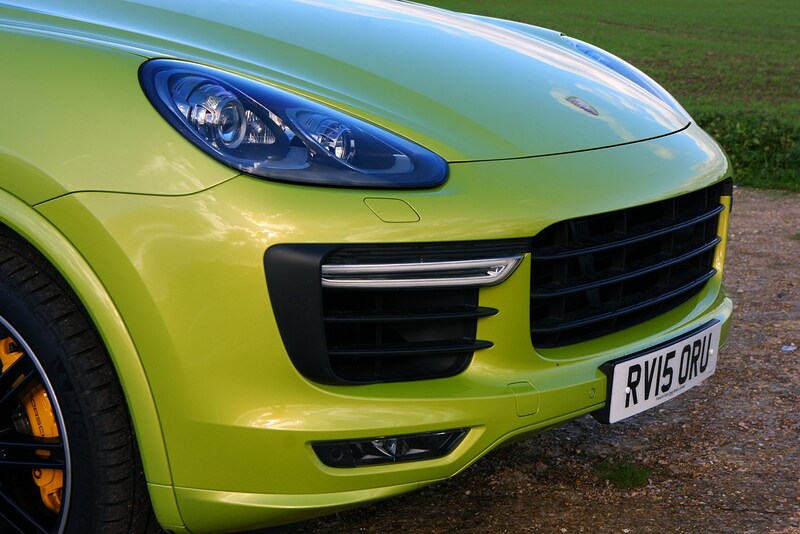 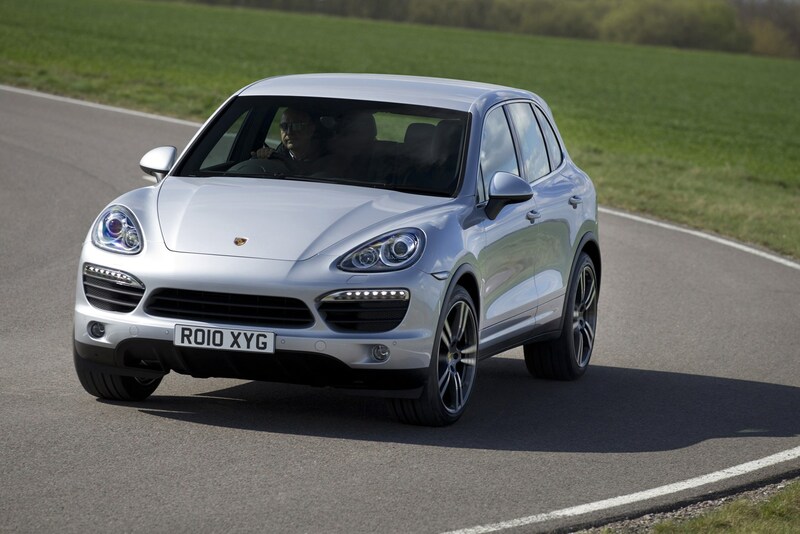 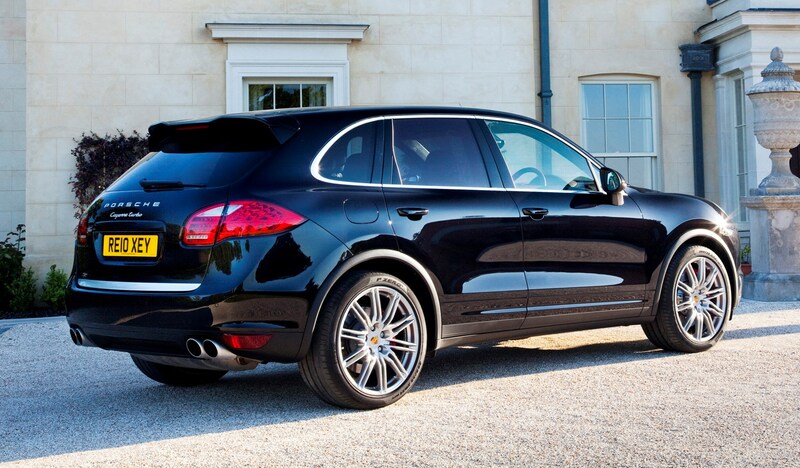 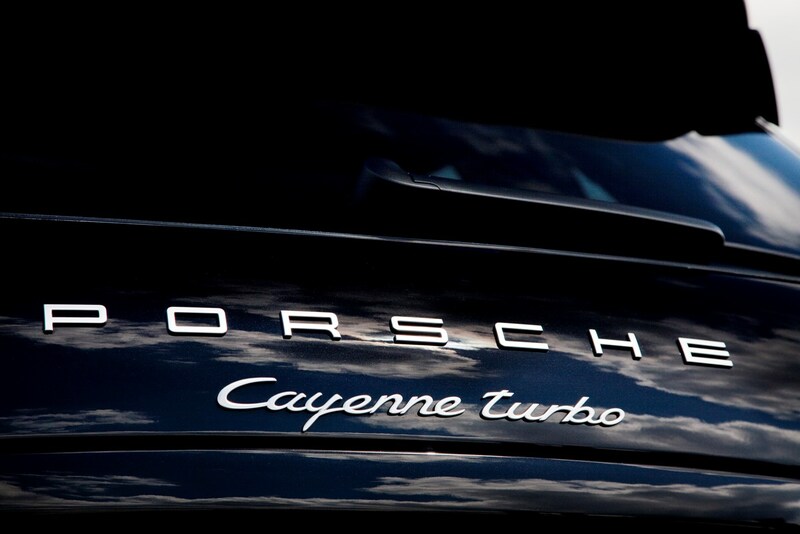 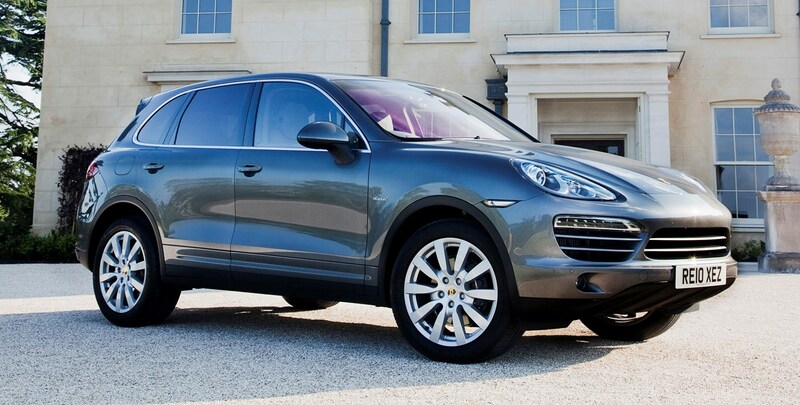 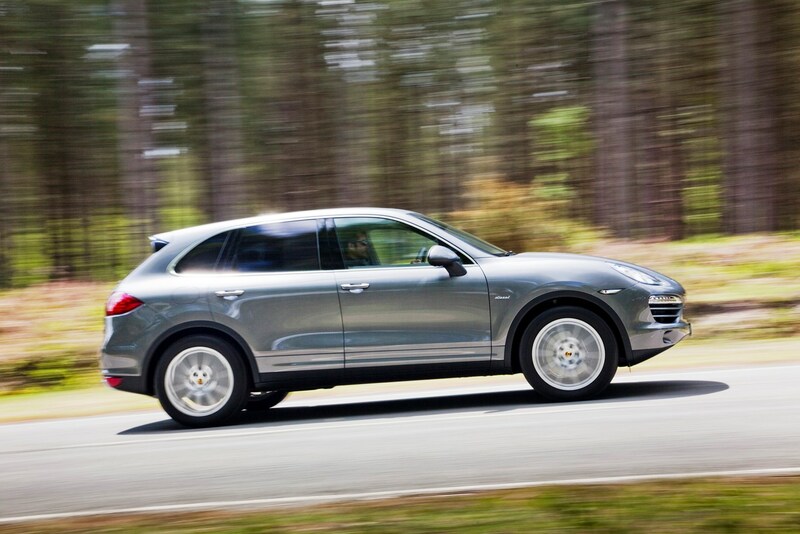 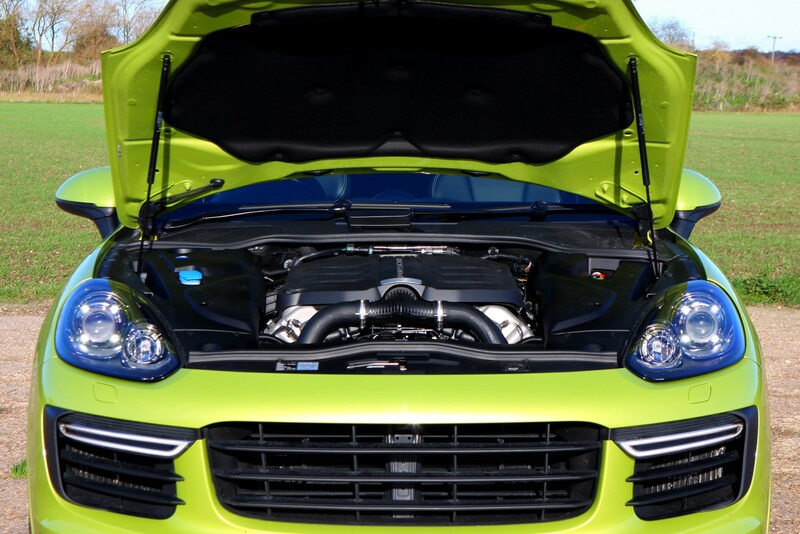 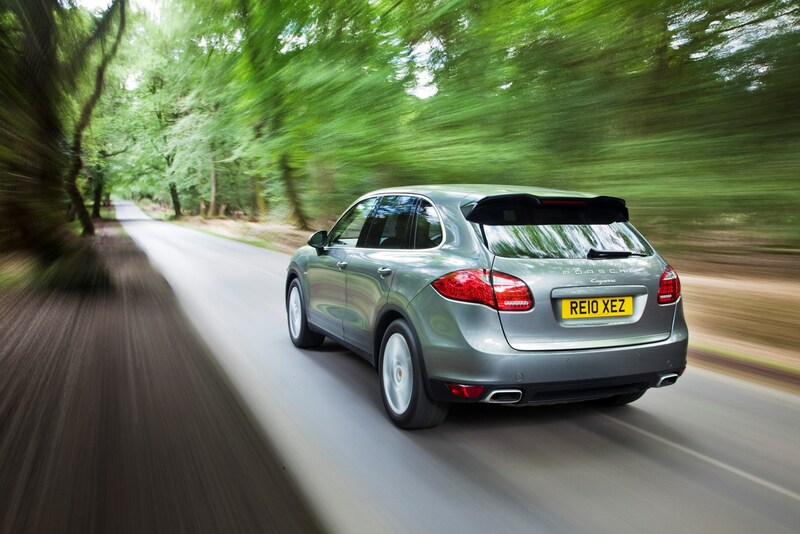 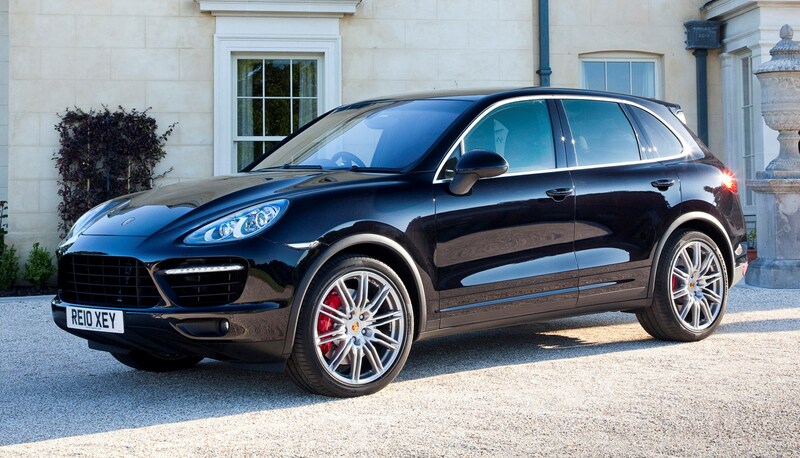 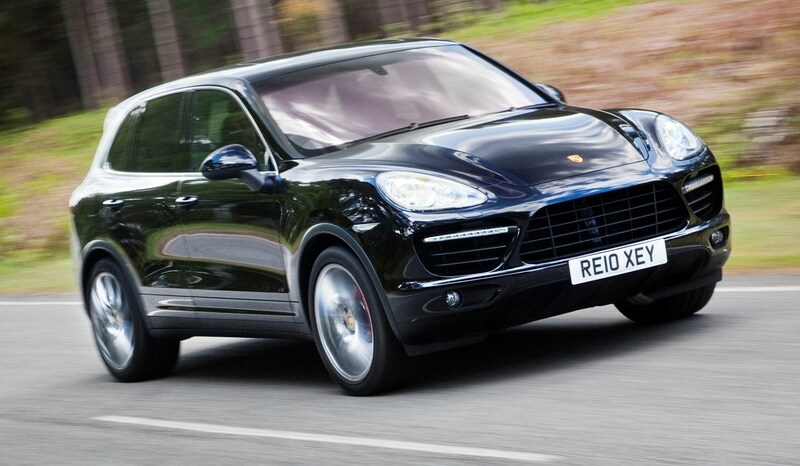 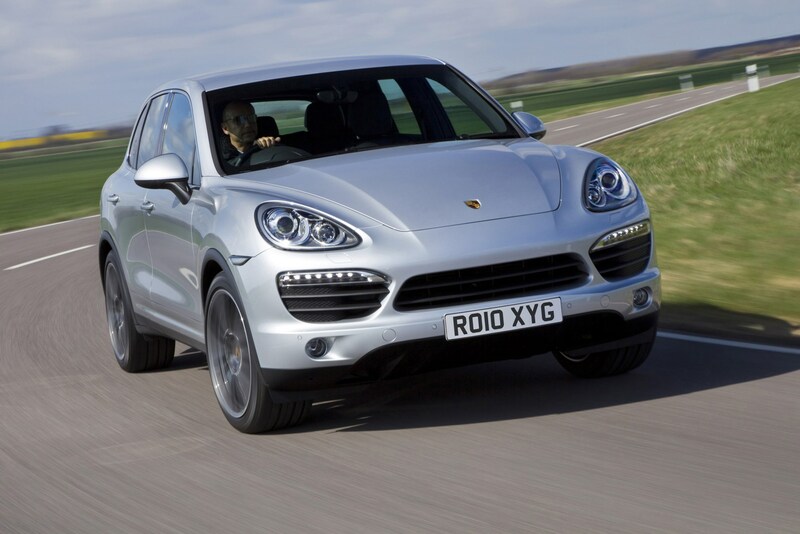 It was also the Macan that donated the new Cayenne S' 3.6-litre V6 Bi Turbo petrol engine, producing 414bhp and 550Nm. 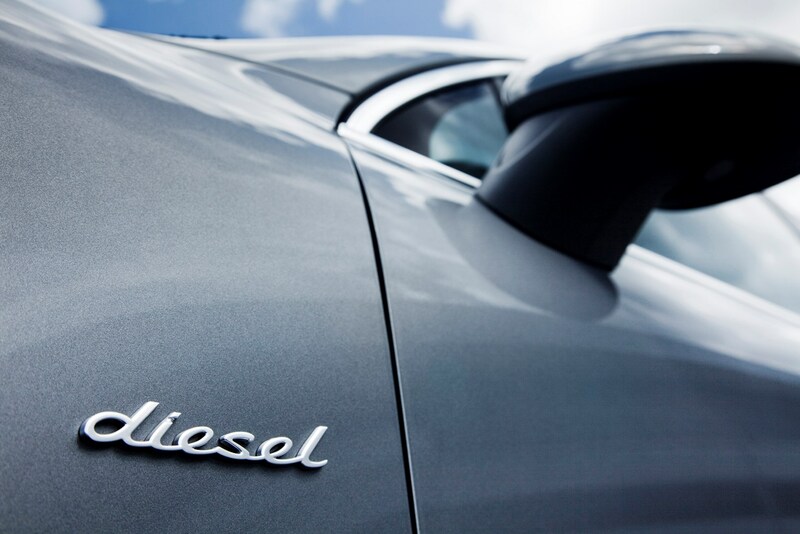 It's an impressive installation but it's the diesels that sell best over here (over 80 percent of them), with good reason. 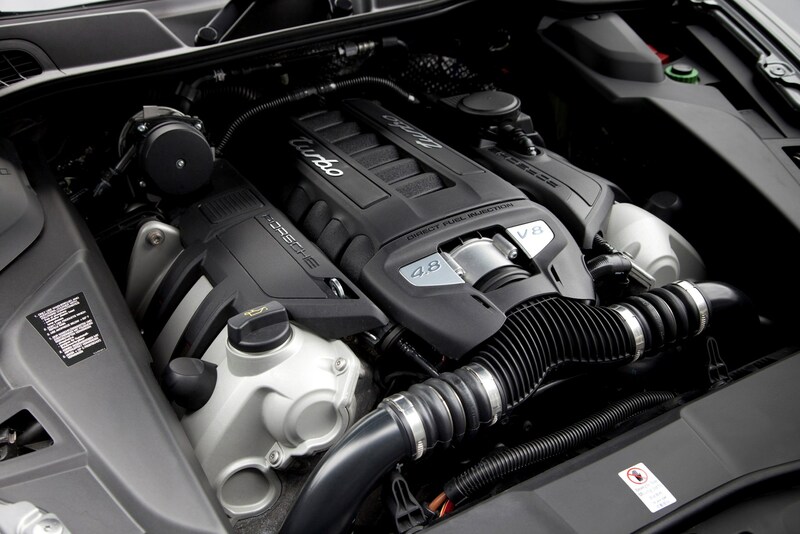 The 3-litre V6 diesel is fast enough, while mixing excellent economy (42mpg and 180g/km of CO2) though speed-freaks may be interested in the sporty S Diesel. 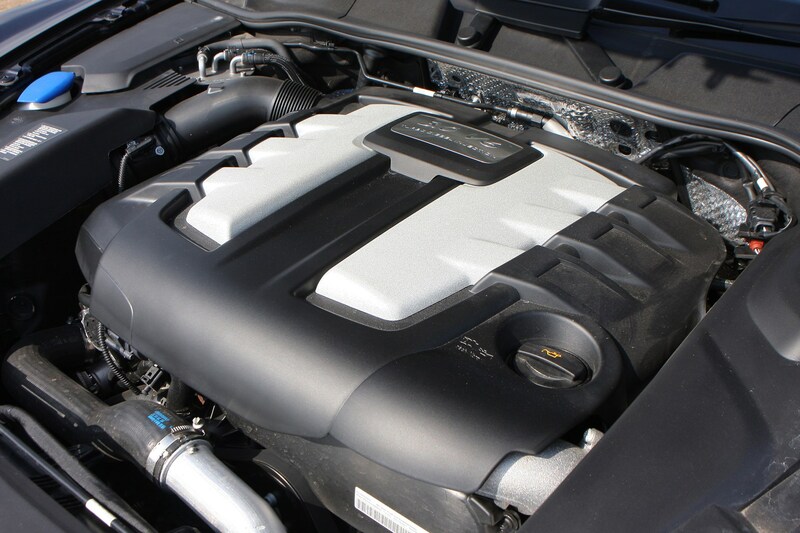 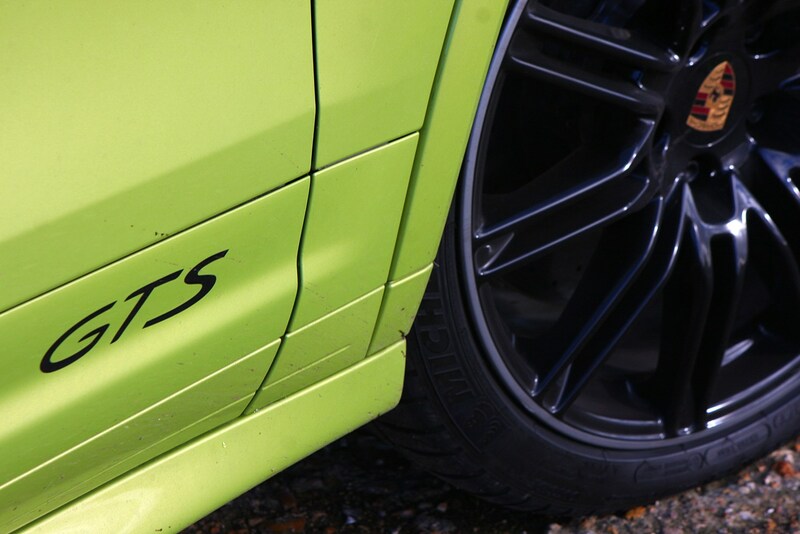 This model's 4.2-litre V8 bi-turbo diesel offers heavy right-footers as much as 850Nm of torque and sprints from 0-62mph in a little over five seconds. 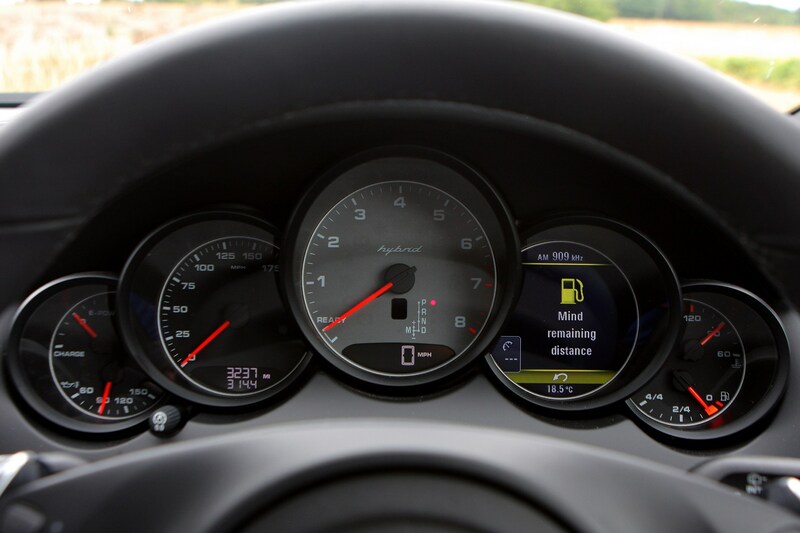 The penalty is just 35.3mpg on the official combined economy cycle. 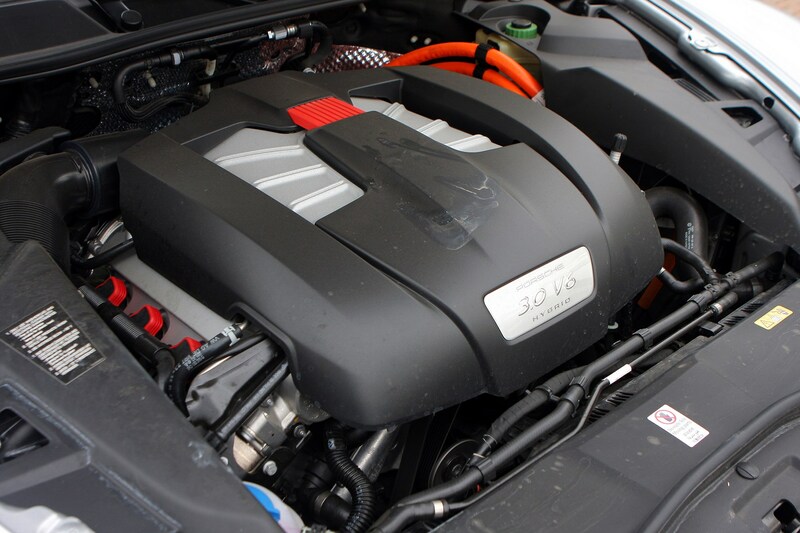 Most intriguing was the introduction of the plug-in E-Hybrid, with a supercharged 3.0-litre petrol V6 combining with an electric motor to produce 410bhp and 590Nm from just 1,250rpm, yet emitting just 79g/km of CO2. 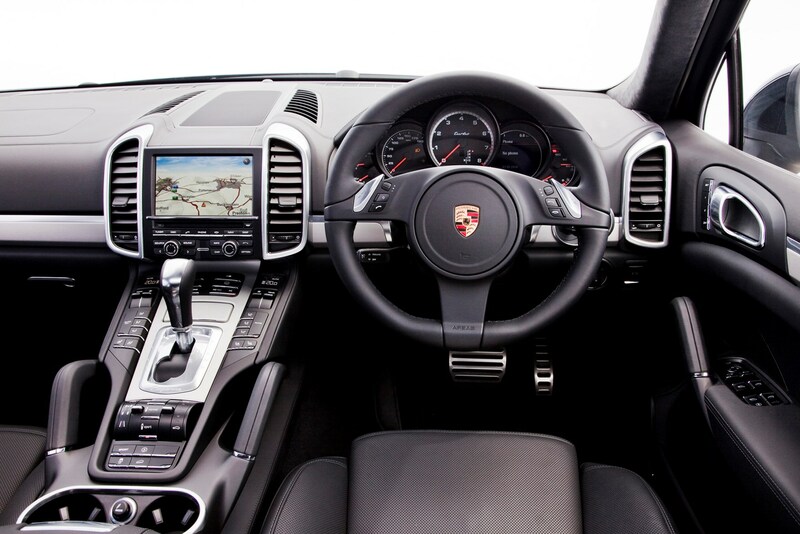 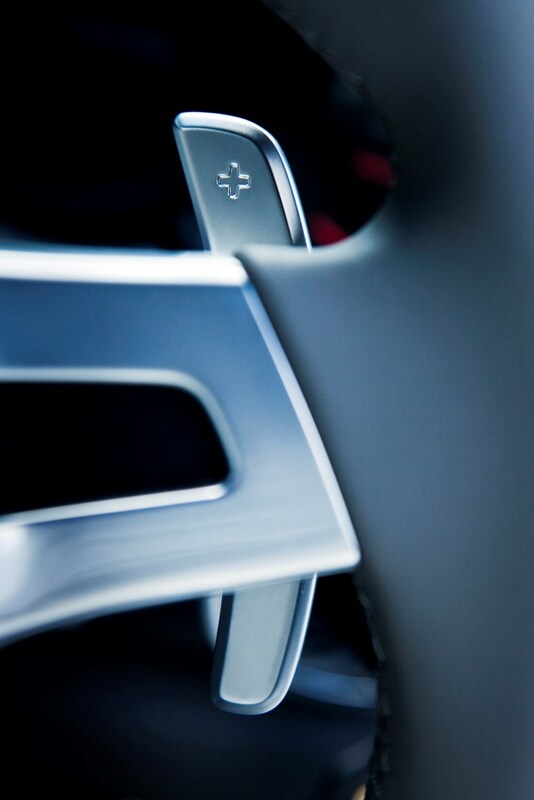 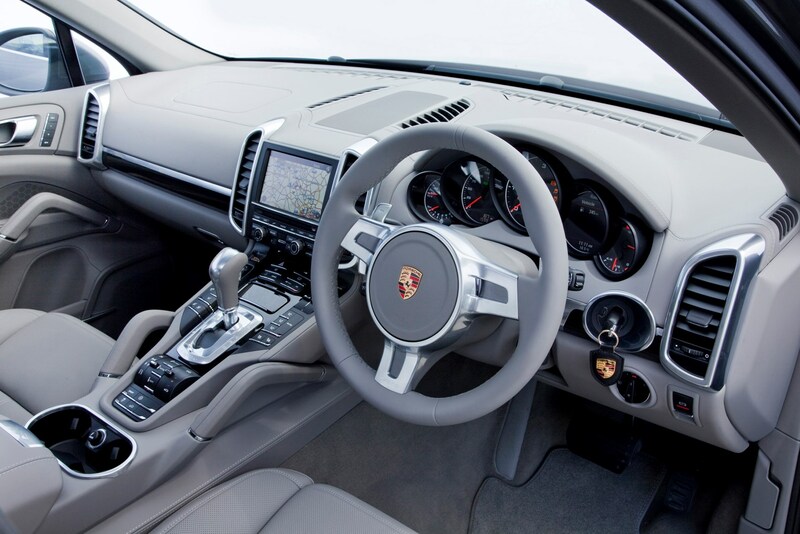 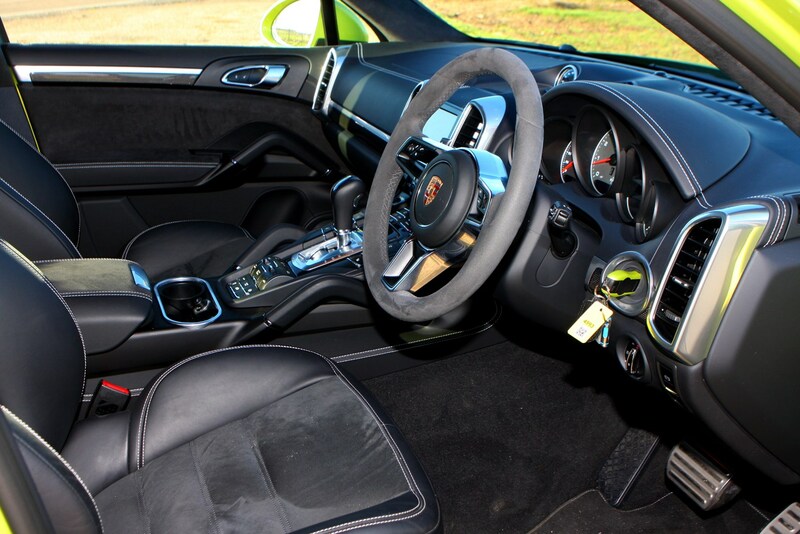 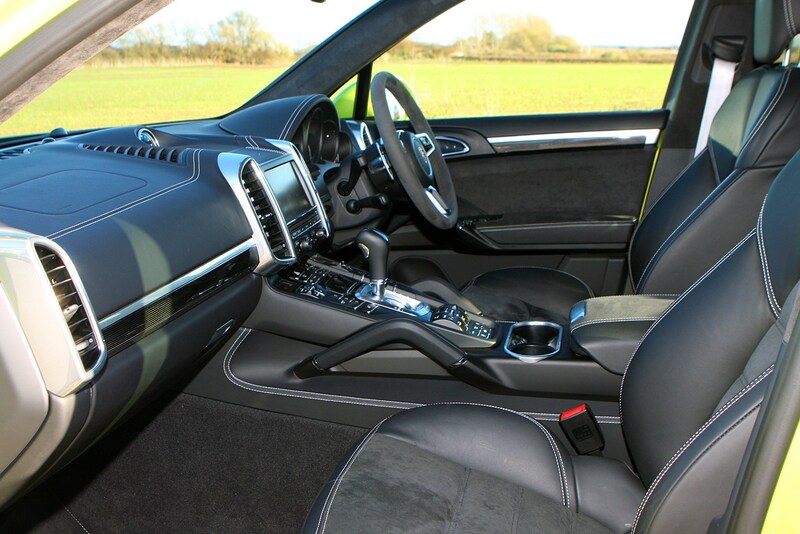 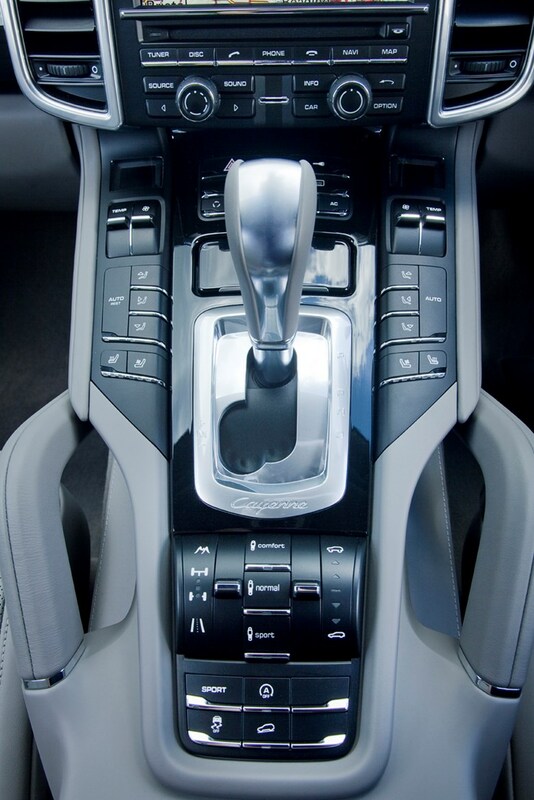 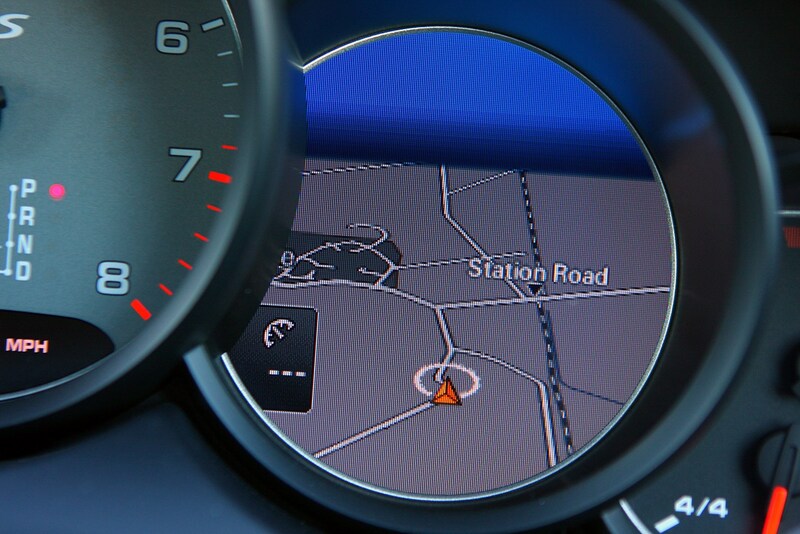 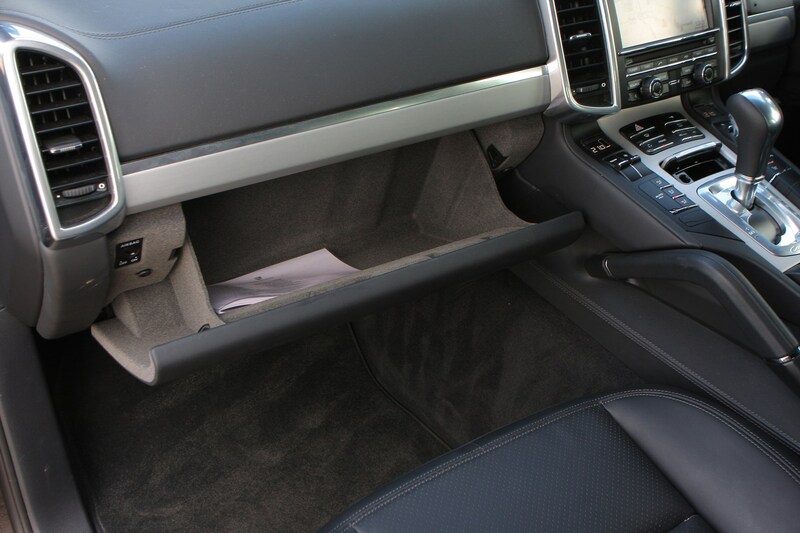 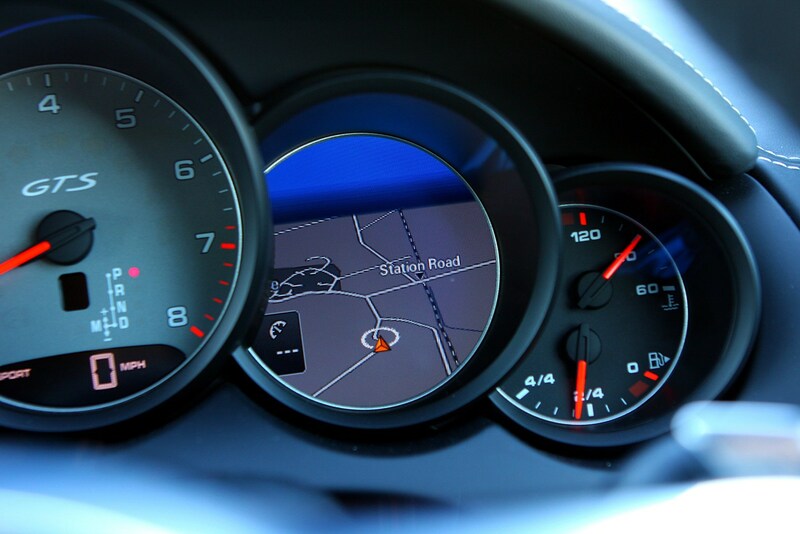 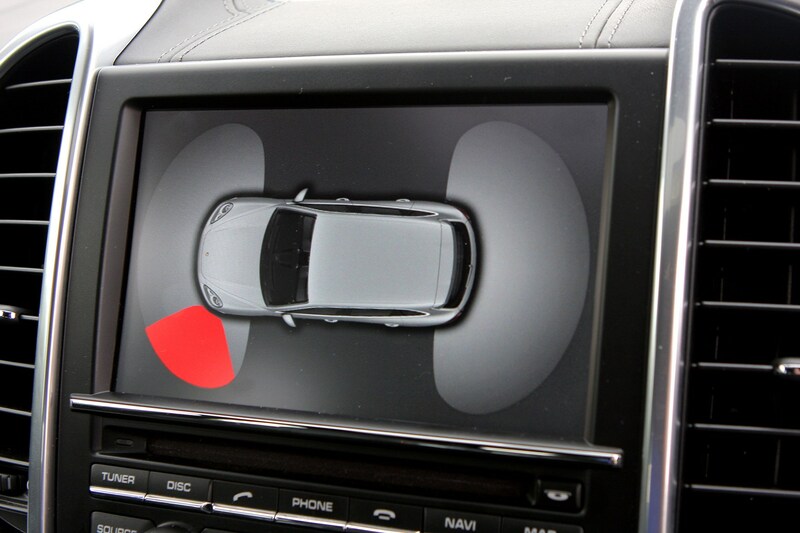 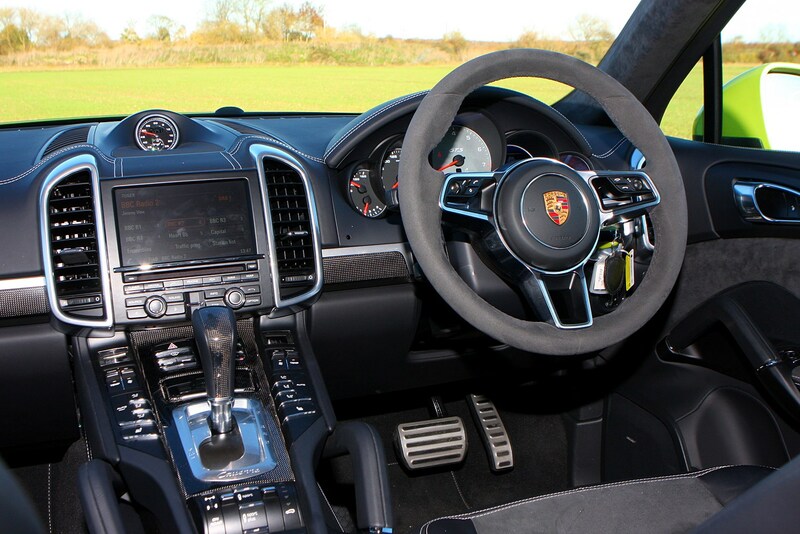 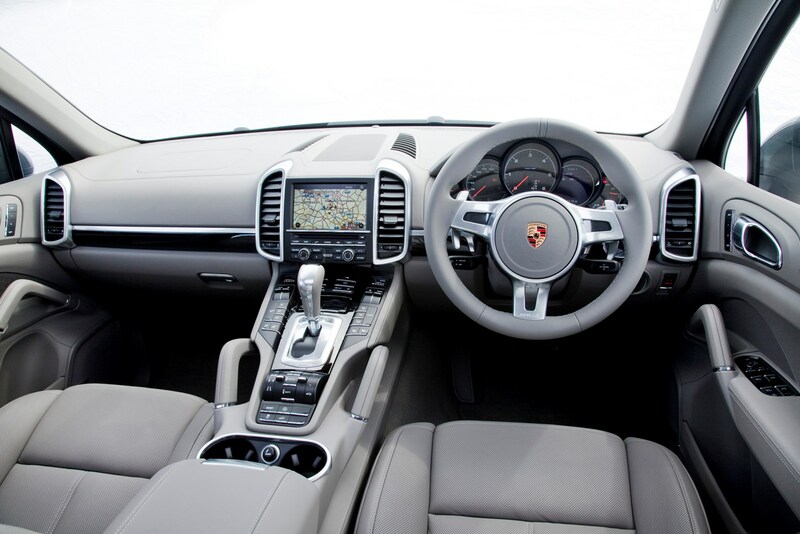 The Porsche Cayenne’s dash lifts its looks from the Panamera, so it looks stylish and gives the driver a cosseted feeling. 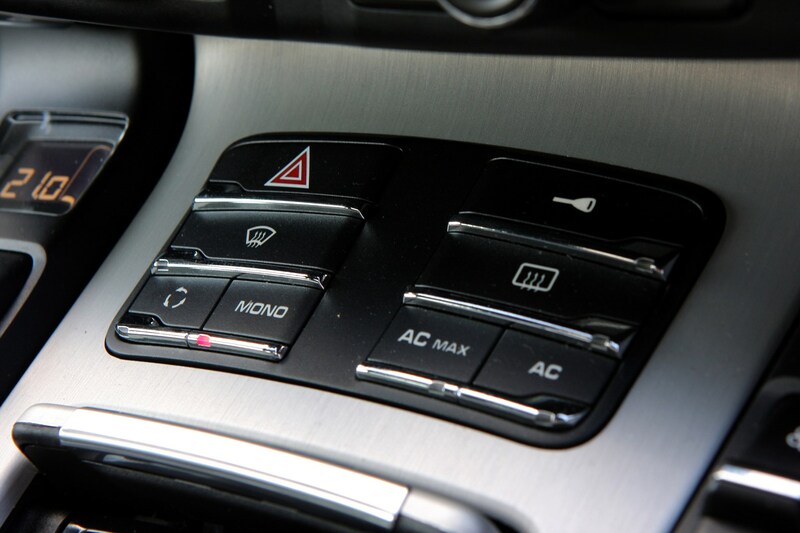 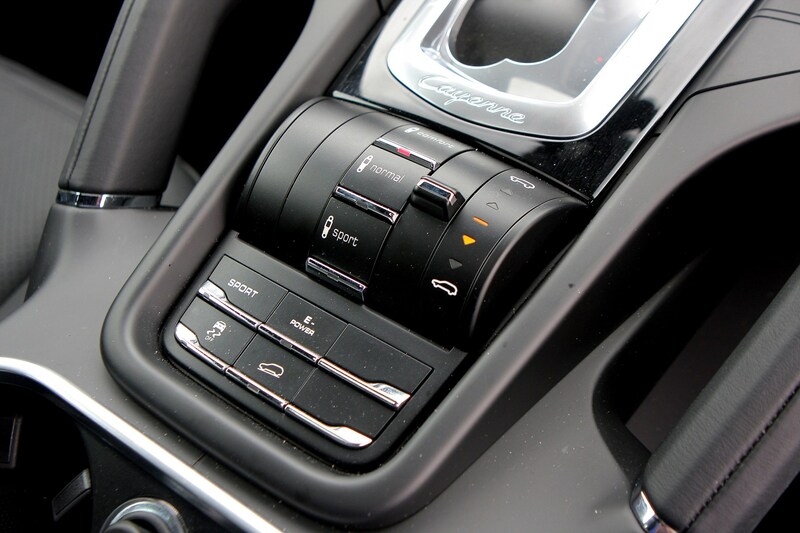 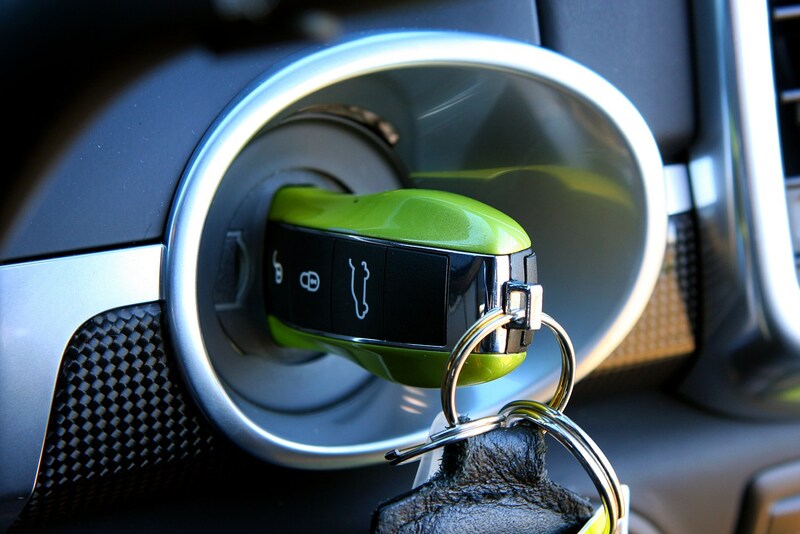 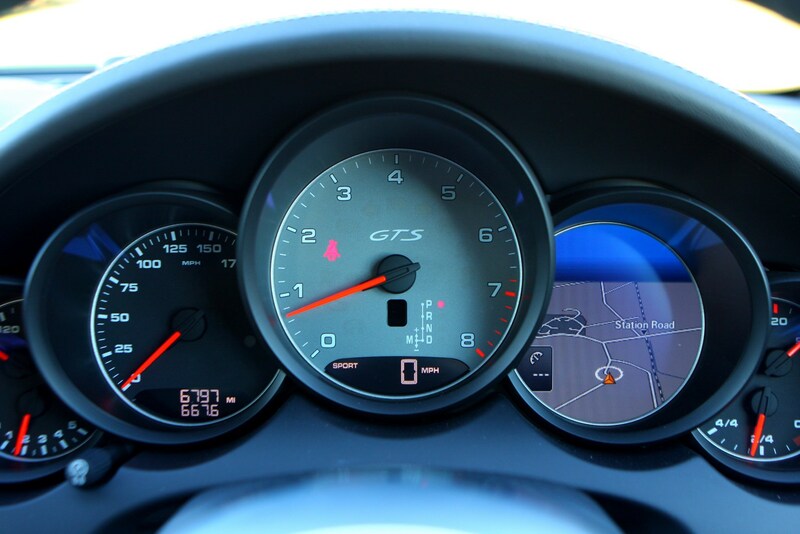 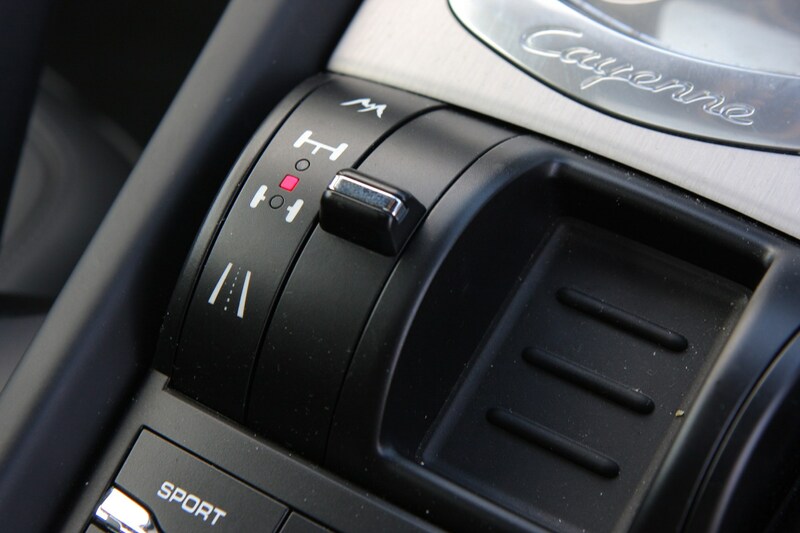 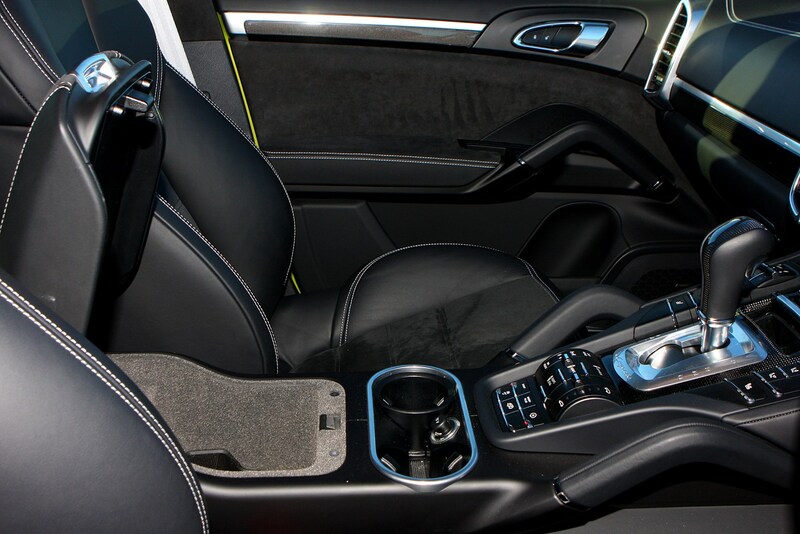 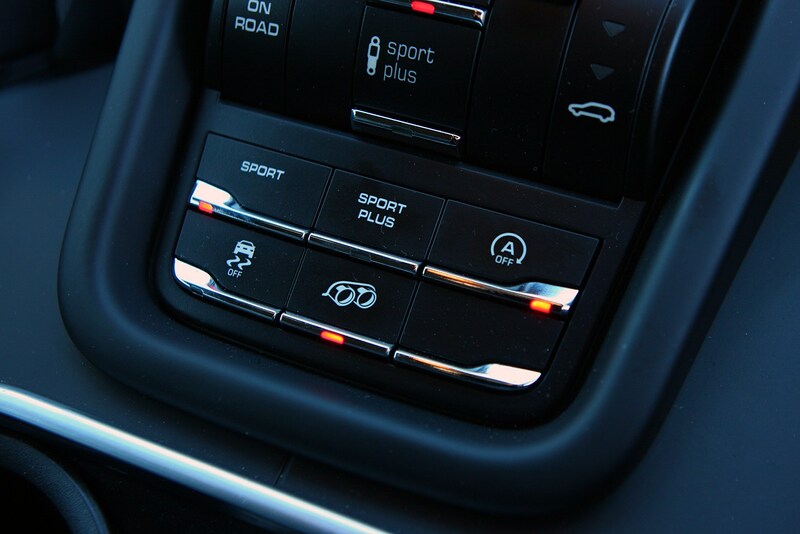 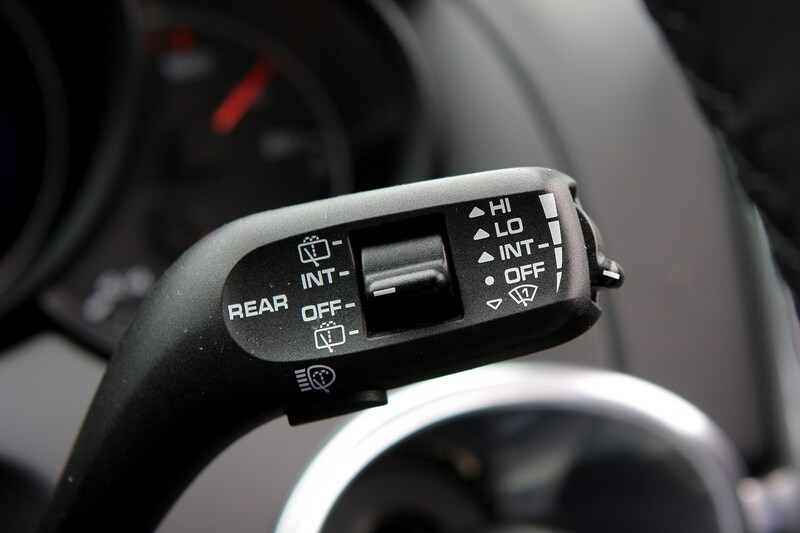 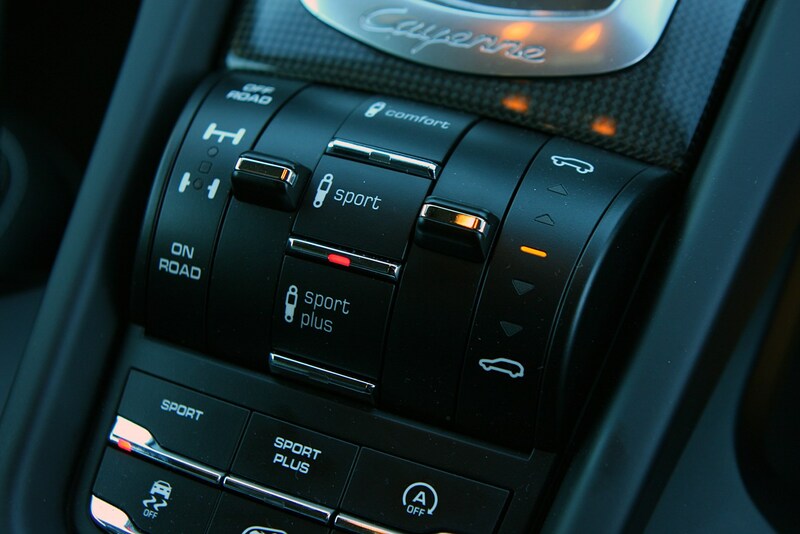 However, some of the switchgear is confusing as there are too many small buttons placed all over the dash and not all of them are easy to identify at first glance. 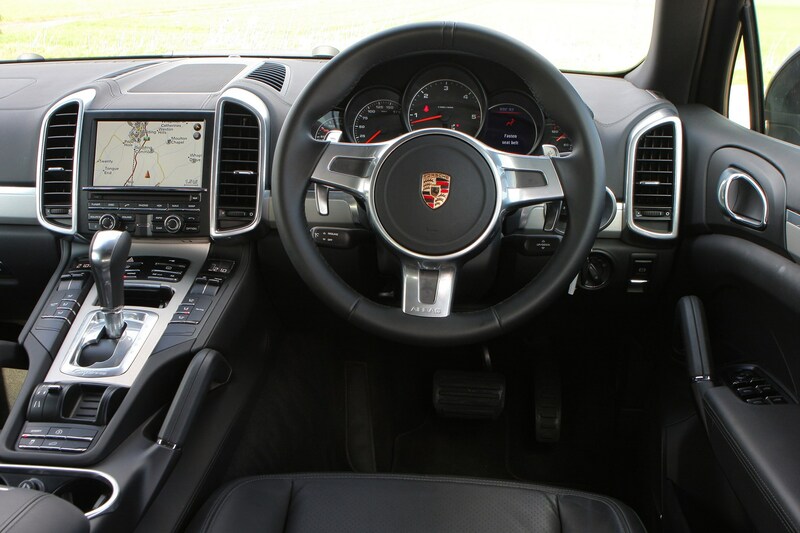 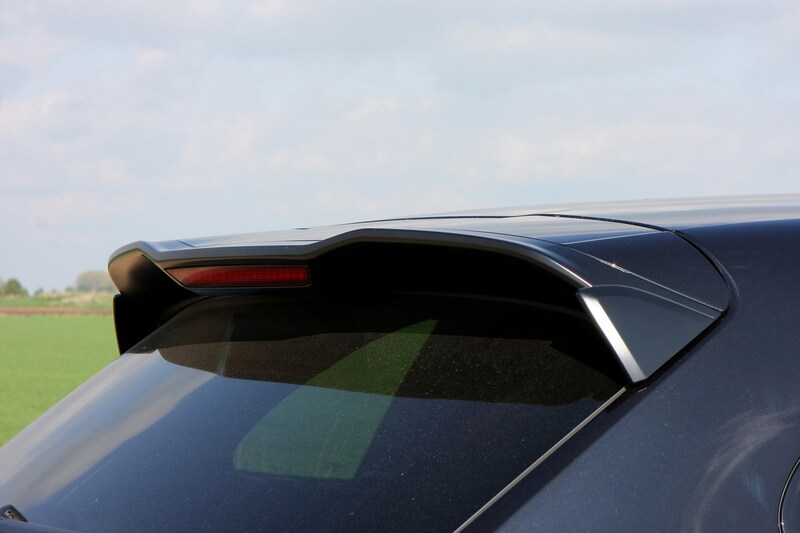 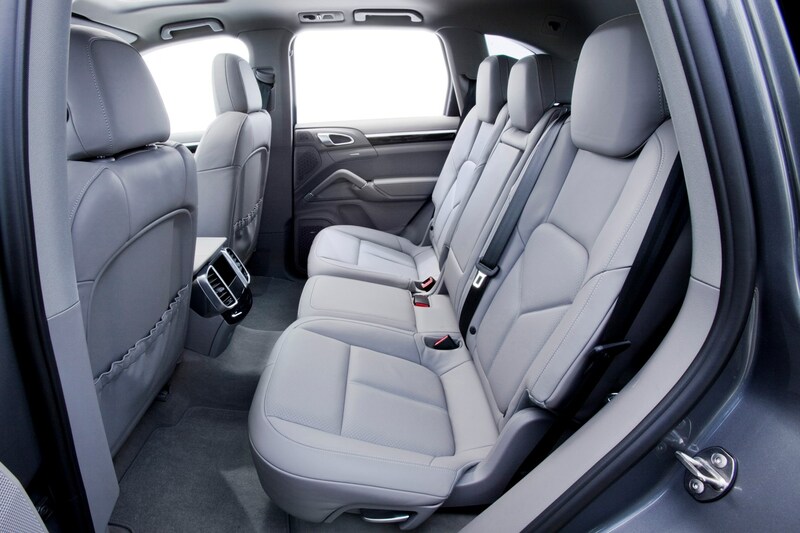 However, the driving position is excellent and affords the usual high-set seating of a large SUV and commanding view that brings. 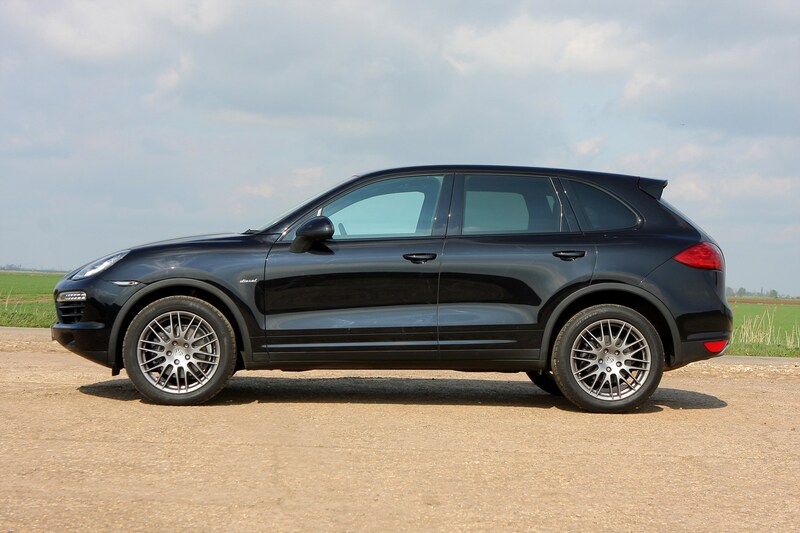 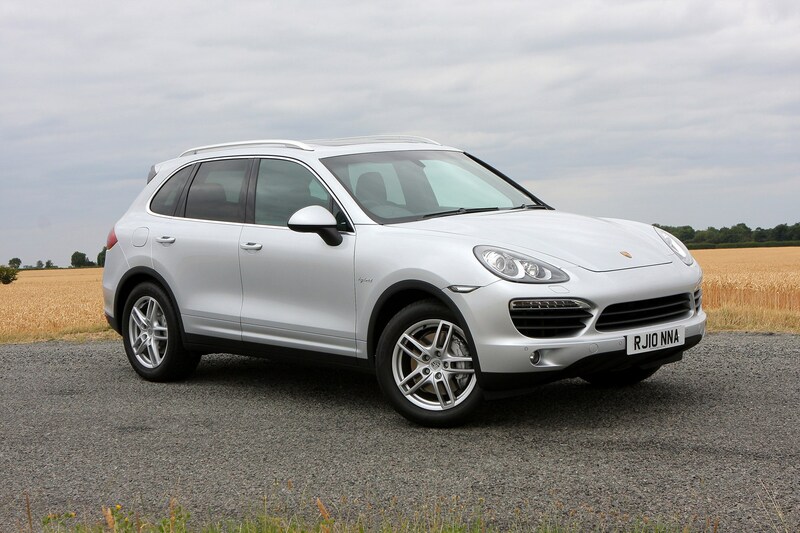 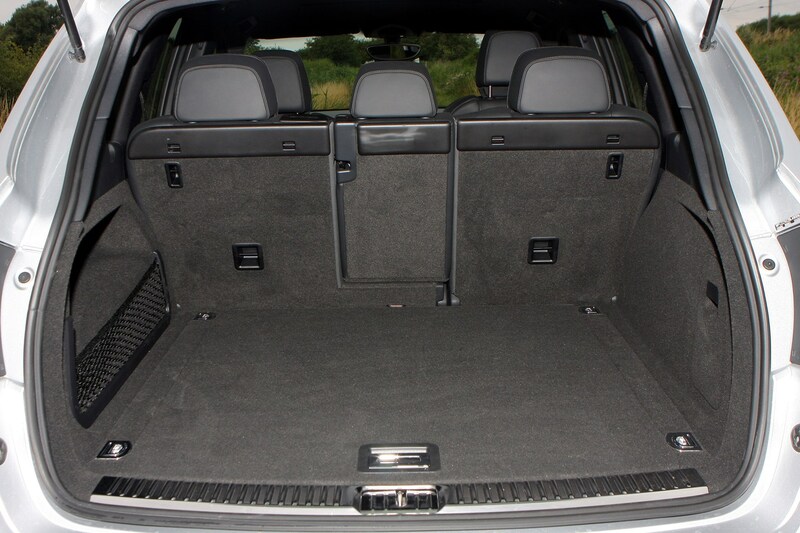 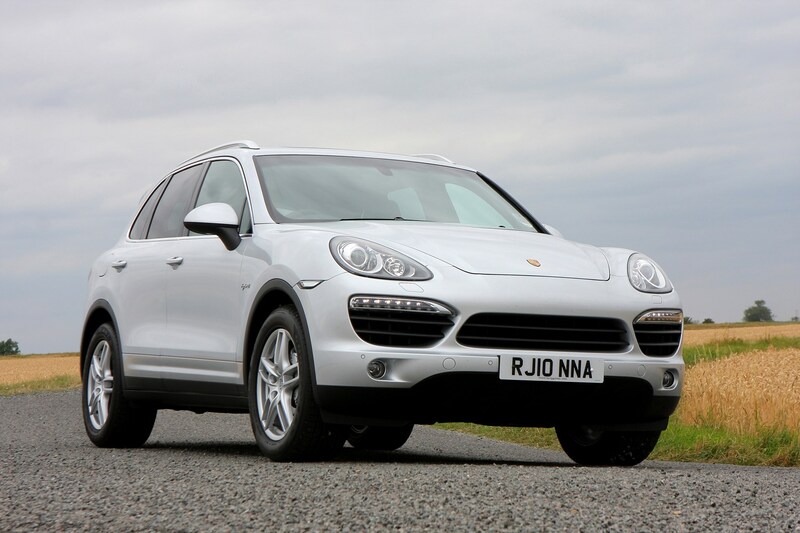 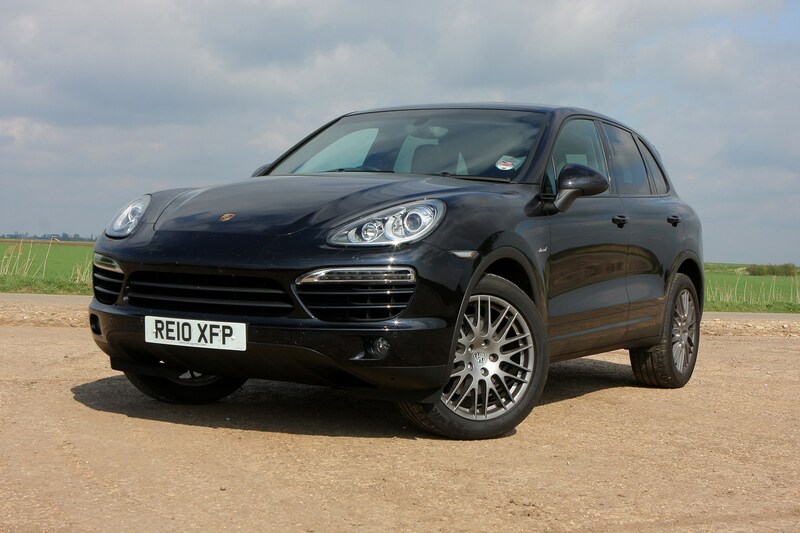 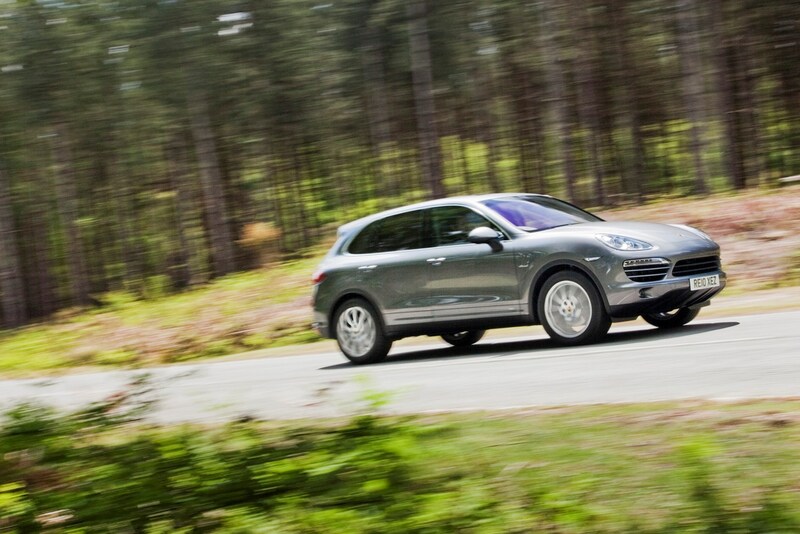 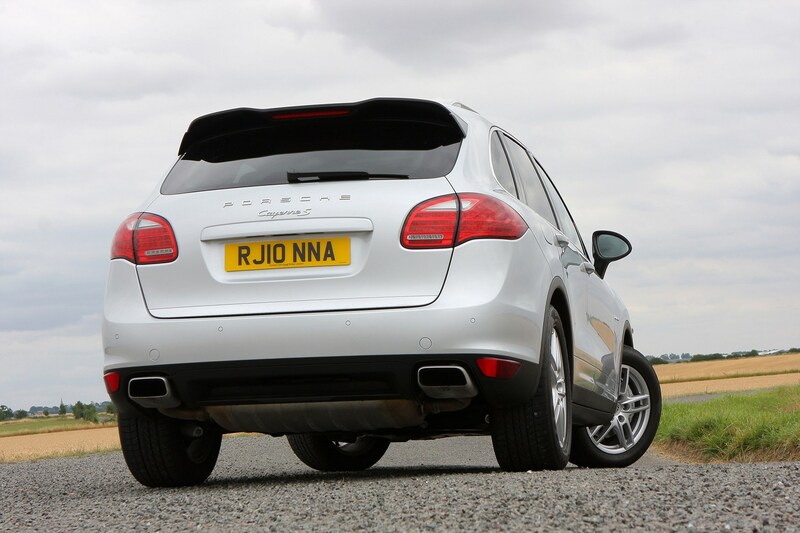 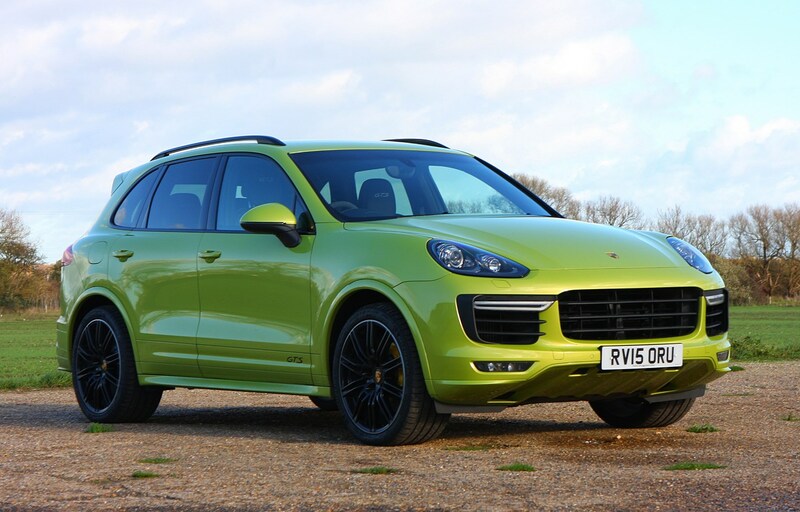 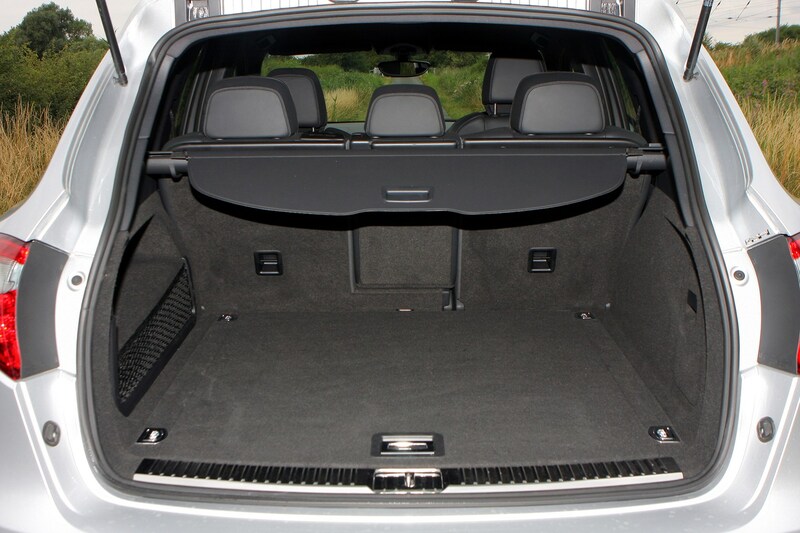 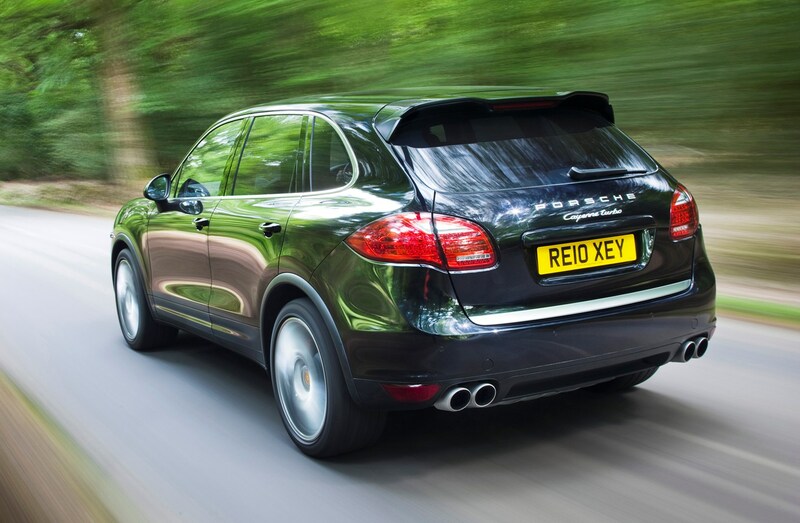 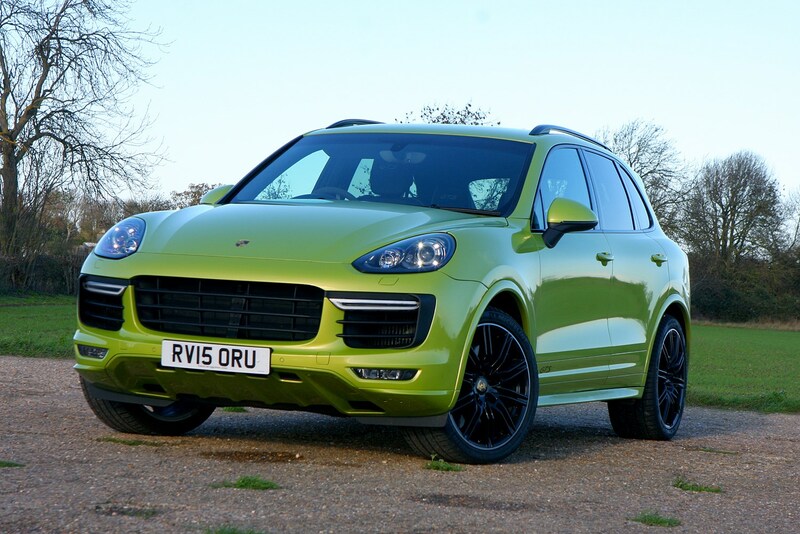 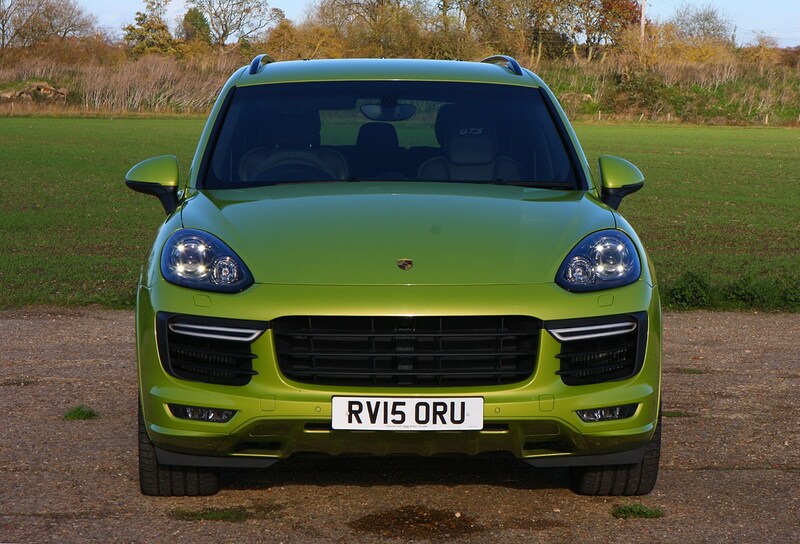 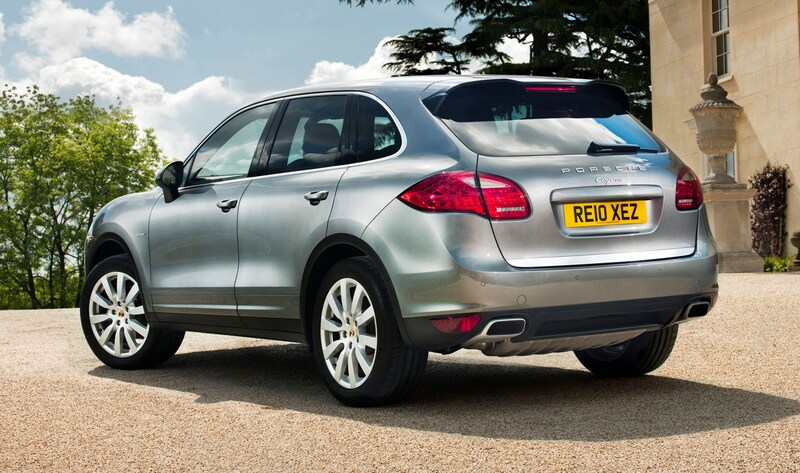 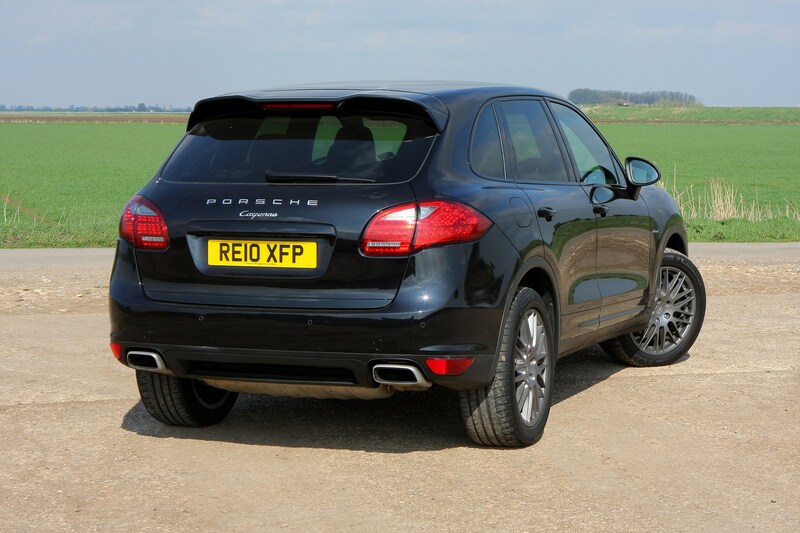 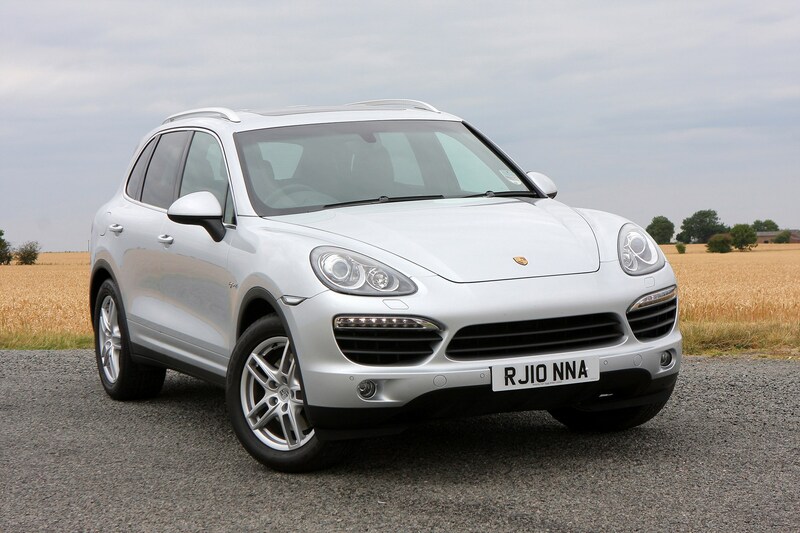 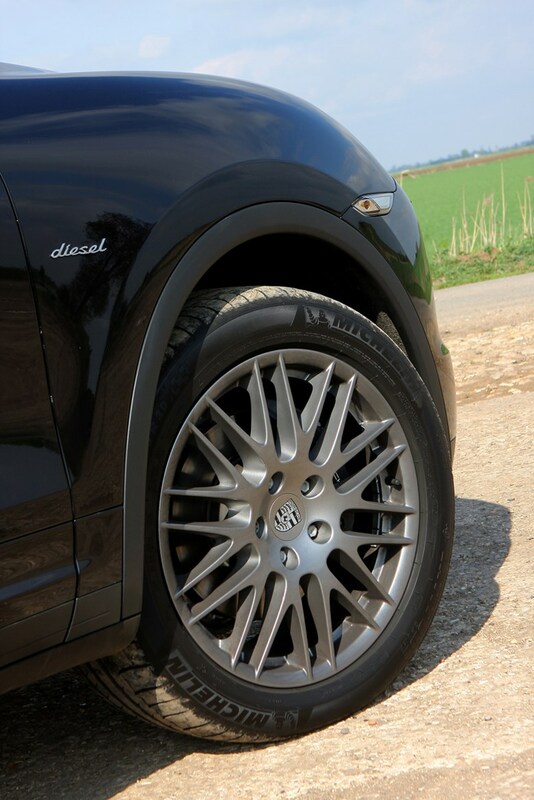 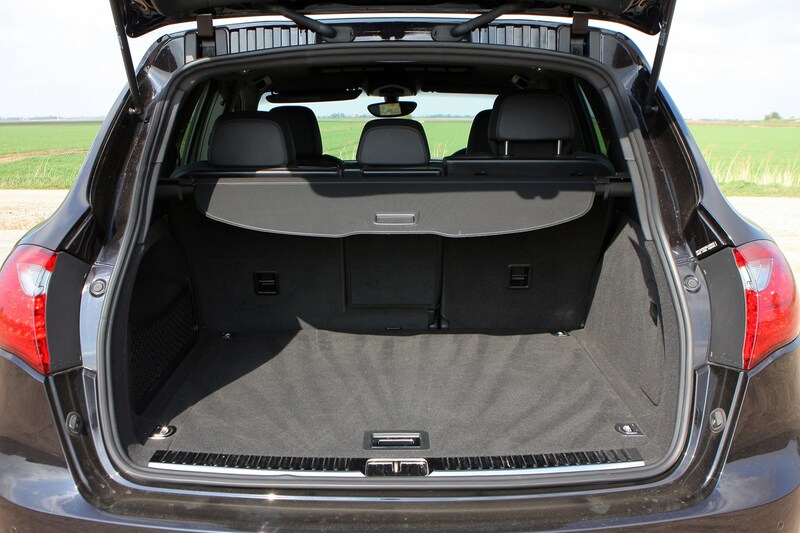 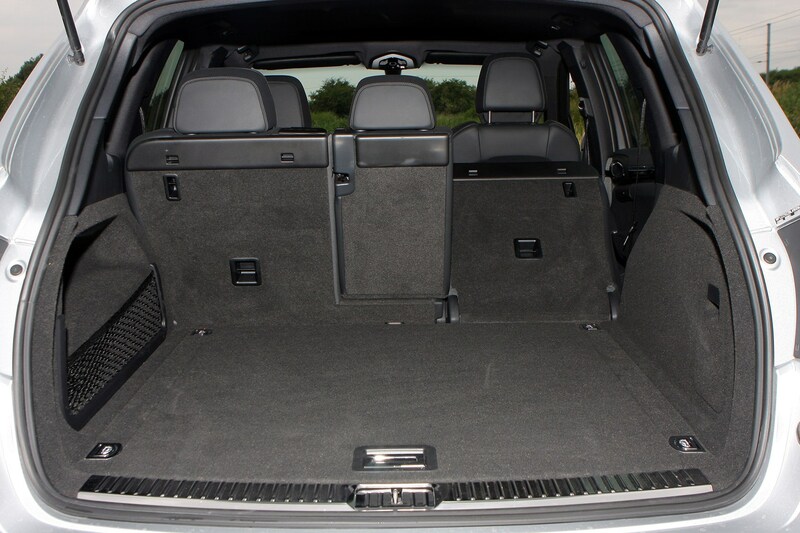 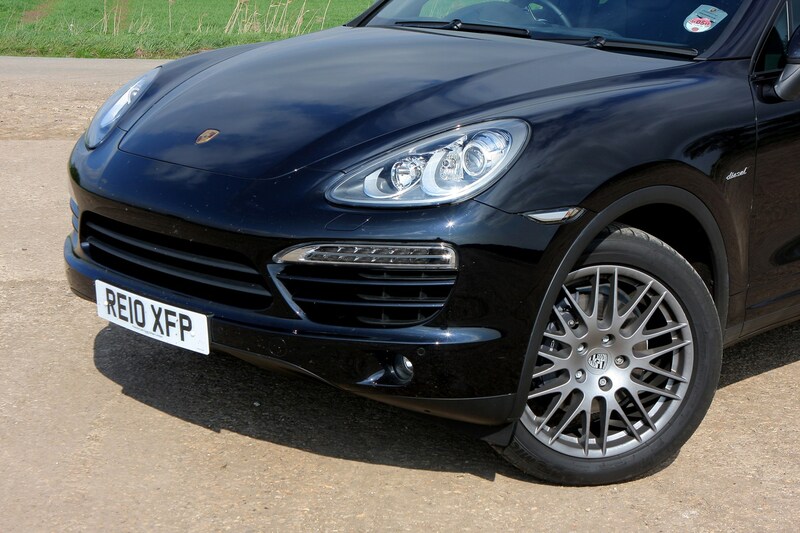 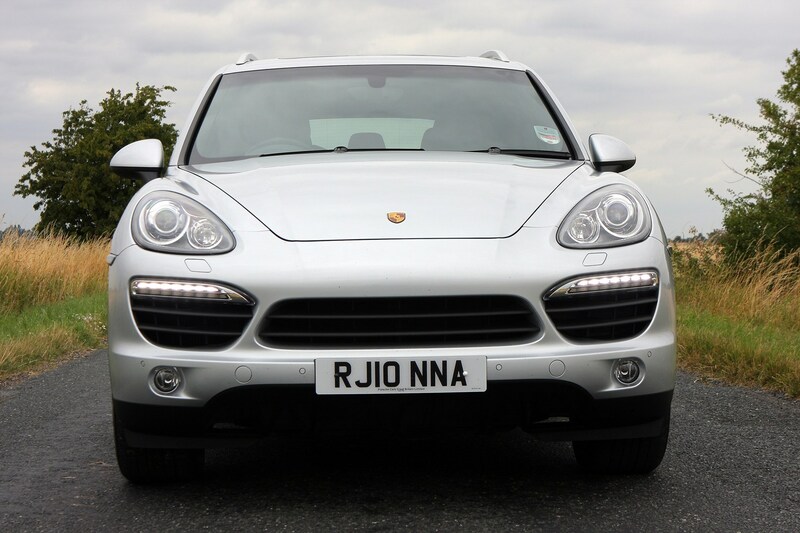 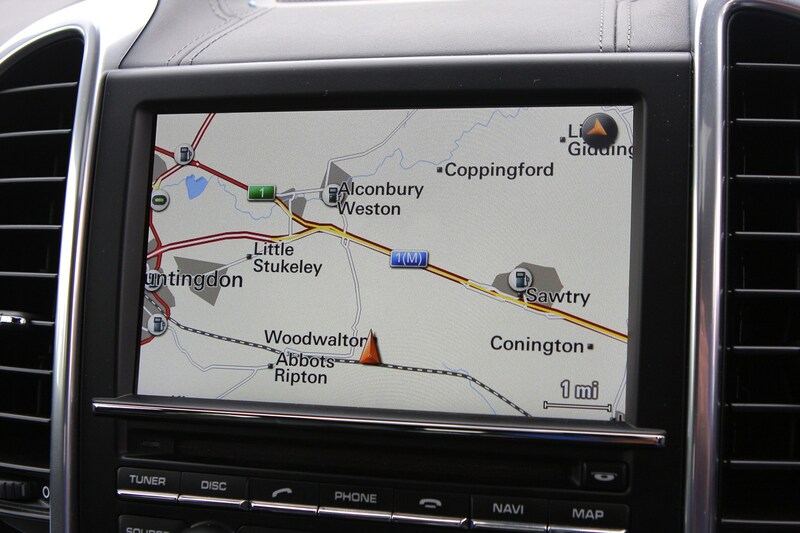 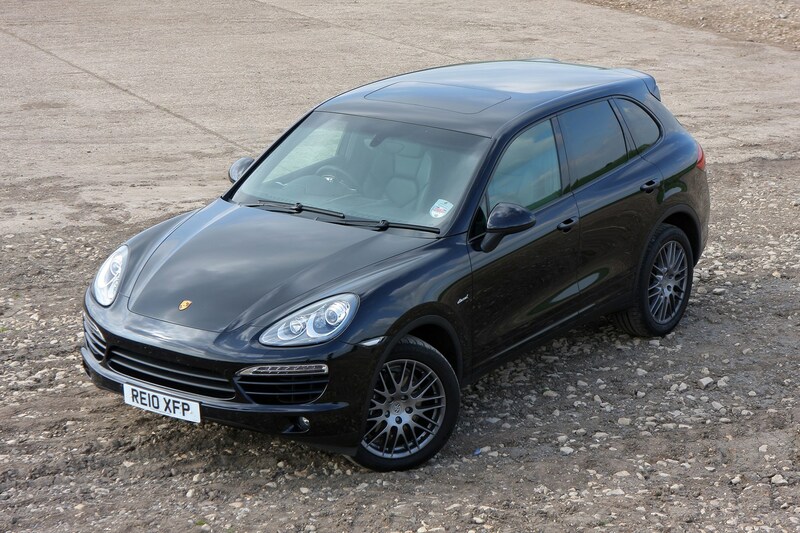 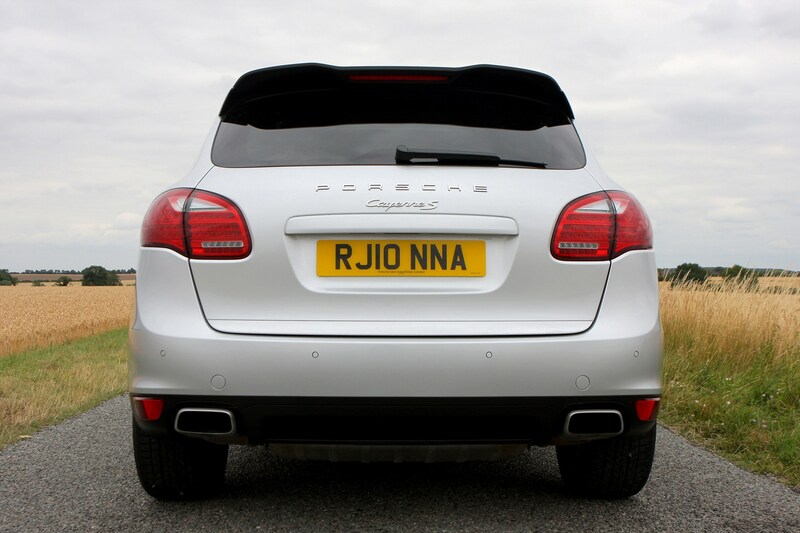 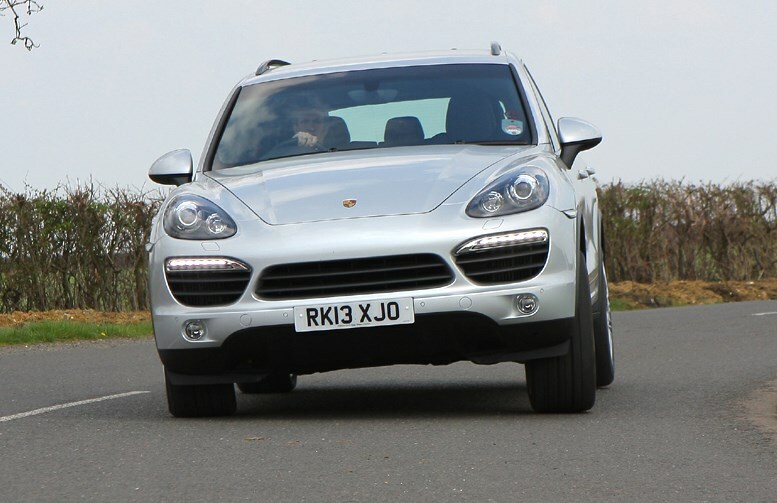 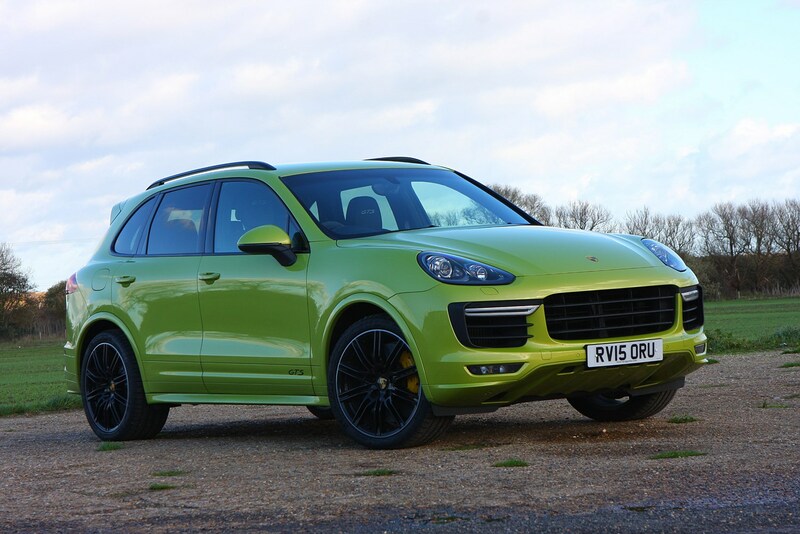 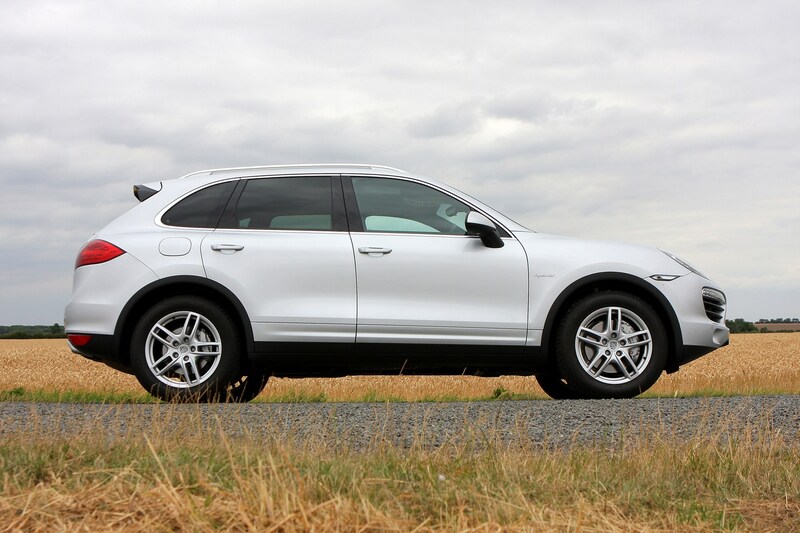 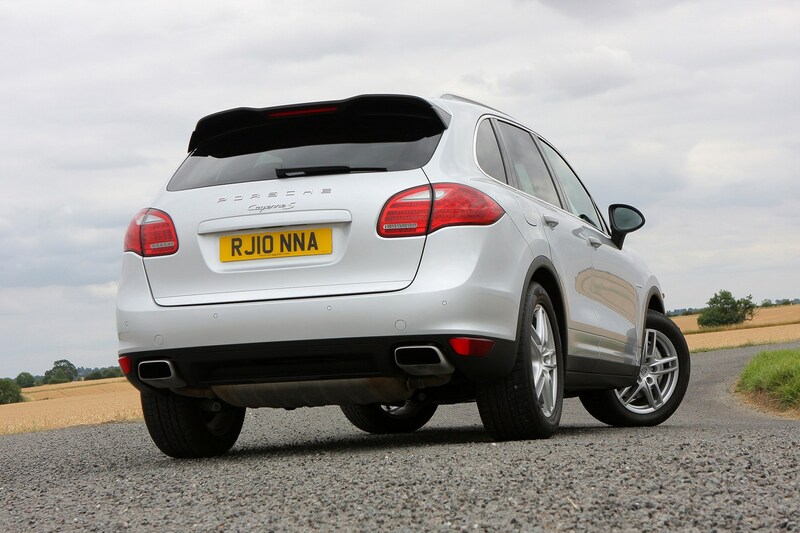 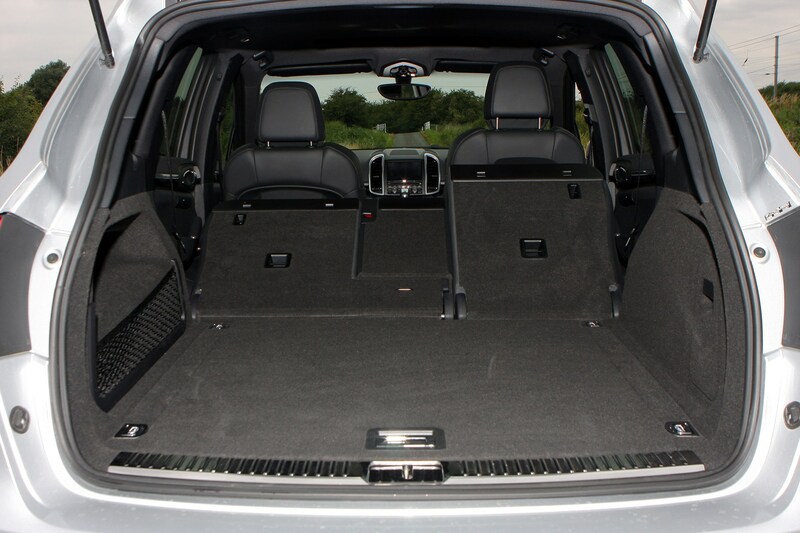 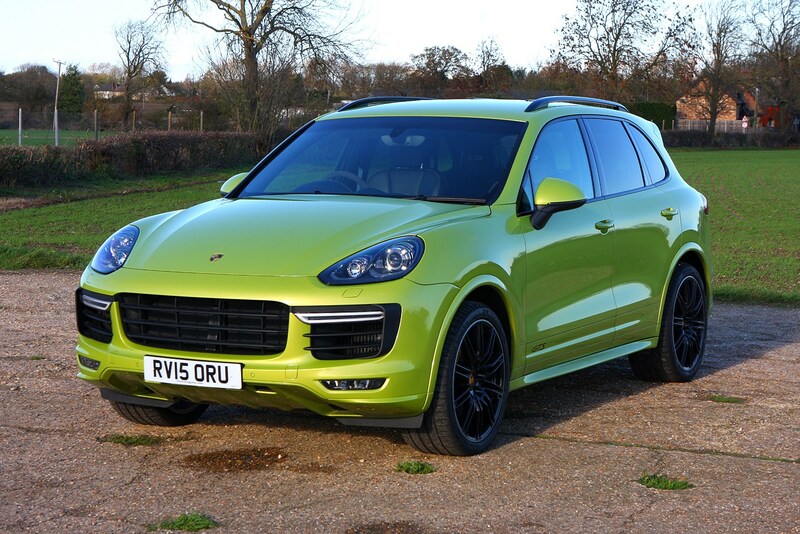 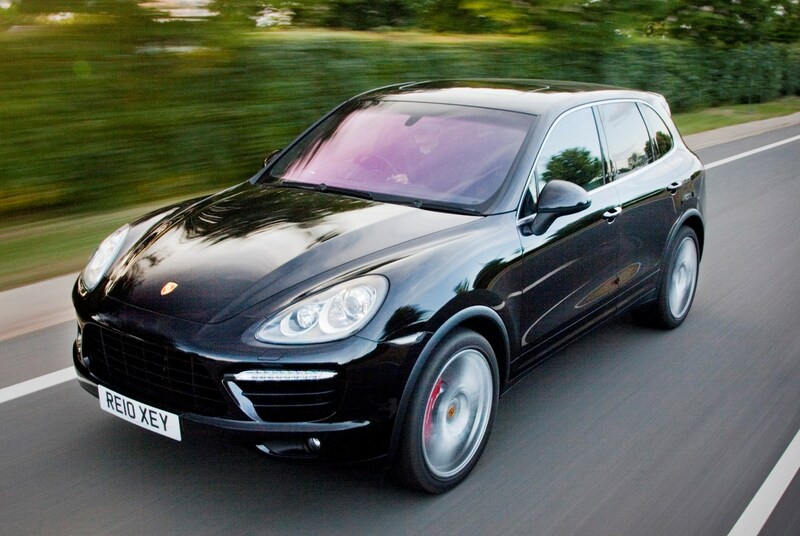 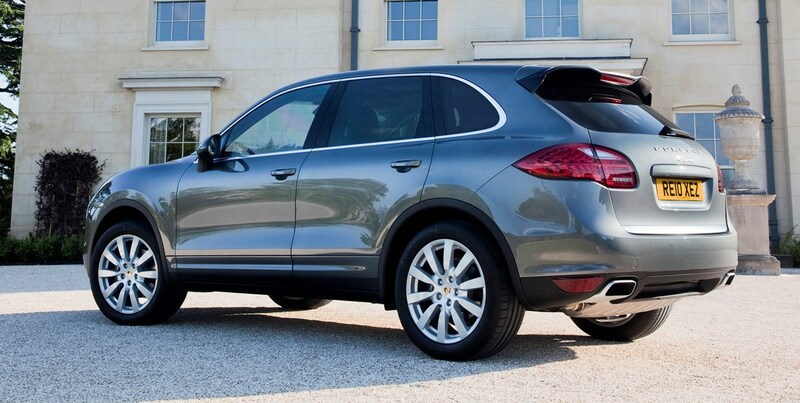 Read the Parkers full Porsche Cayenne review to see if this sports 4x4 is as good as its promise suggests.